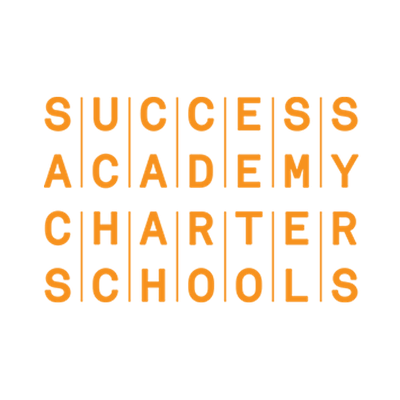 Welcome to OCS - Opportunities, Connections, Success. 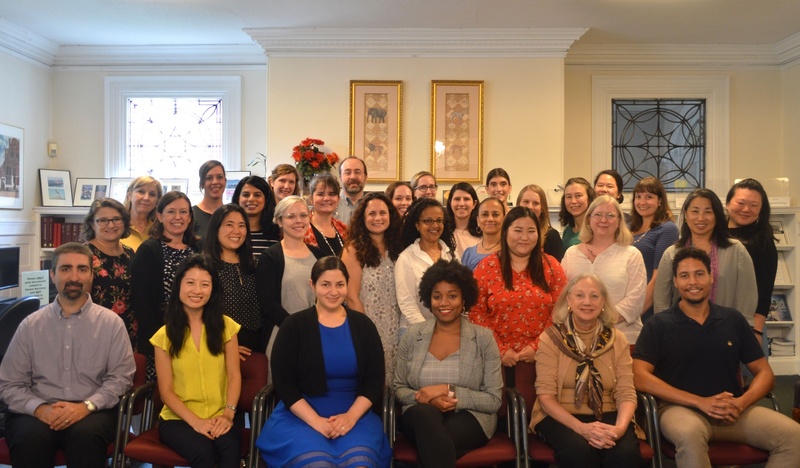 Whether you have specific goals in mind or have no idea what you would like to do over the summer or after Harvard, the Office of Career Services (OCS) is a valuable resource for any stage of your job, internship, fellowship, or graduate school search process. OCS can help you identify and explore options, build a professional network, focus your efforts, and maintain your motivation. As you start thinking about which pathways to pursue, remember that there are many road maps and people willing to help you along your way. One piece of advice that has stood the test of time is that “the early bird gets the worm.” Don’t wait until the last minute to begin to explore and plan for your next step. Let OCS help you find the right approach and guide you from start to finish. Opportunities: Educate yourself about diverse careers options. Many opportunities for both junior summer and post-graduation arise in September - don’t miss out on all the programming that begins the first week of classes. Some employers even visit campus in the spring semester to meet underclassmen interested in future opportunities. Select from over 75 diverse panels and workshops offered each semester at OCS. Look for “This Week at OCS” emails on Sundays, and select your subscription preferences to receive additional updates in fields that interest you most! Connections: Find people who can help you in your job search. Meet employers, Harvard alumni, and students with similar interests at numerous workshops, panels, and events hosted by OCS. 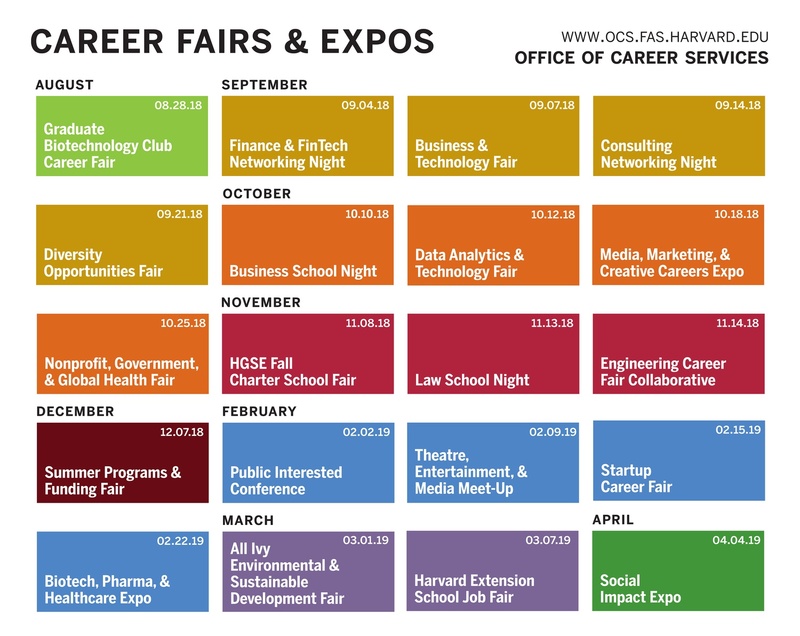 20+ OCS career fairs and expos already scheduled for this year. See the OCS Calendars for all the details! Success: Get personalized advice to help you get where you want to be! OCS Drop-In Hours, Monday through Friday, 1-4pm, for resume and cover letter reviews, quick questions, just getting started, or touching base. Junior and Senior 20-minute Express Appointments in September, weekdays, 10am-12pm. Half-hour advising appointments beginning late September covering a diverse range of fields, as well as decision making, summer or post-graduate planning, making connections, graduate school, and related advice. Drag your 'This Week at OCS' email to the 'primary' tab in gmail so you don't miss out! Be sure to stay connected through the This Week at OCS Newsletter and OCS website, including the OCS Calendars, at www.ocs.fas.harvard.edu. Most students find the job or internship search process both exciting and stressful, since it is a time of exploring options but also a time of narrowing choices and decision-making. At OCS we appreciate this, and we are ready to help you through each step of the way. Before applying for specific opportunities, it is important to do some thinking about what you want to do next. Explore options and discover which organizations, graduate schools, sectors, and types of employers most closely match your interests, values, skills, and offer you the best learning opportunities. Reflect on your possible and preferred next steps and think about how you would like to participate in the world of nonprofit, for-profit, and/or government work. Think about other opportunities, such as international experiences, fellowships, or research positions, and determine which path is best for you at this point in time. Identify parameters that might focus your search, like geographic preferences or financial needs. Connect with the Office of Career Services at 54 Dunster Street and www.ocs.fas.harvard.edu and let an adviser personally help you get focused and started on your search. The world of work is changing so rapidly that it makes it very difficult to predict what skills might be needed in the future. Even doctors say that everything they know could be obsolete in ten years. That’s why it becomes so important simply “to learn how to learn.” Harvard’s rigorous academic curriculum, enriching residential community, and wealth of extracurricular opportunities prepares students broadly for a vast number of internships, jobs, graduate programs, and future careers, regardless of what concentration they select. Apart from some technical or engineering fields, most entry-level employers don’t expect students to have prepared academically for their specific positions. Instead, they are looking for students to demonstrate their interests and/or to develop skills through a variety of experiences including coursework, group projects, extracurricular activities, leadership roles, volunteer work, athletics, part-time jobs, internships, or international experiences. Use the OCS Skills Tracker Tool in Crimson Careers to document the skills you are acquiring and to identify where you might have gaps. This will help you build your resume, write effective cover letters, improve fellowship applications, and most importantly, offer you a selection of stories you can use to illustrate your skills as you prepare for job, internship, fellowship, and/or graduate school interviews. [Employers and graduate programs] want flexible, adaptable minds, minds exposed to a broad range of knowledge and trained in rigorous critical thinking. They want students who can think analytically, look at life as a whole, read with interpretive skill, and write decent, well-constructed sentences. …you should approach career strategy the same way an entrepreneur approaches starting a business. As a Harvard student you have many reasons to be confident and optimistic, provided you approach your job search with realistic expectations and are ready to invest both time and effort. Remember that different organizations and industries hire on different timelines. Like an entrepreneur, be prepared to iterate and be adaptable throughout the search process. Cast a wide net. Don’t approach the job or internship search with your heart set on one dream employer, opportunity, or industry. Keep in mind you can take multiple paths in the short term to gain the skills you need to discover or achieve your goals in the long term. Extend your search beyond the campus interview program, which only represents a small fraction of the opportunities available to Harvard students. If you don’t get an offer from your first choice organization, think about where else you could learn similar expertise or develop other valuable abilities. Use all the resources available to you. OCS has expert staff and resources to help you navigate your individualized search. Take advantage of resume and interview workshops to put your best foot forward. Attend career fairs and panels to meet face-to-face with potential employers. Meet with an adviser to strategize the best course of action for you and your goals. Use online resources and connect with Harvard centers and offices such as the Institute of Politics (IOP), Center for Public Interest Careers (CPIC), and Harvard Varsity Club (for student-athletes) to expand your search. Don't be discouraged by the super competitive process. No one gets all interviews and all job offers. Just remember that all you need is one opportunity! Build your professional network. Most employers are not able to predict their hiring needs in advance and therefore rely on “just in time” hiring. For this reason, it is essential to be proactive and not wait until a position gets posted. Use OCS events, the Harvard network, family, and friends to meet people in the organizations and industries where you would like to work. Use LinkedIn and email to stay in touch so you are at the top of their list when a position becomes available. Having a good network is your greatest asset in the future as you try to change jobs, change sectors, get relevant inside information, or advance in your chosen field. Stay positive. Although the job or internship search may seem more difficult or take longer than you expected, remember that employers want to hire people who can solve tough problems, overcome obstacles, and stay enthusiastic through challenging times. OCS staff, programs, and resources can help you stay motivated and stay on track. The best advice I could give is to be ready to improvise. The ability to recognize opportunities and move in new—and sometimes unexpected—directions will benefit you no matter your interests or aspirations. A liberal arts education is designed to equip students for just such flexibility and imagination. You have to talk to people in order to learn what is out there, to get up to speed on current issues in a particular field, and to determine which options are a good fit for you. Building a Professional Network means making connections with people who can provide you with up-to-date information and help you develop some “gravitational pull” from inside an organization, increasing your chances of being noticed and successful in your search. The contacts you make building out your network can be crucial to finding and landing a great job or internship. Over 90% of job seekers land jobs or internships through this process of building professional connections. Take advantage of all the opportunities Harvard offers you, both on and off campus, in person and online, to speak with lots of people about your interests. Make connections at Harvard with house tutors, faculty, and staff here to help you. Connect with Harvard graduate students and utilize Harvard centers and offices such as the Institute of Politics (IOP), Center for Public Interest Careers (CPIC), and Harvard Varsity Club (for student-athletes). You are going to be networking throughout your professional career, including each time you want to change jobs, so make sure to learn and practice these skills before you leave campus. “Make Connections: Leveraging Your Harvard Network” is one of the programs offered at OCS. OCS advisers also host creative careers, public service, and science, research, and innovation orientations that provide field-specific job and internship strategies. Check the OCS Calendars for more details. Networking doesn't have to be intimidating! I used to think that networking was akin to taking advantage of people, trying to get as much out of someone that I can. It doesn't have to be that way. Get to know people who are working in areas that you are or may be interested in, long before they can do anything to help you directly. Just ask for their advice, and tell them what you're thinking or are concerned about. Networking is getting to know people and building relationships among advisers and others, it's not about 'squeezing' things out of people. Go to Events with Employers and Alumni. Attend Career Fairs and Expos. Speak with employers about jobs, internships, and career paths. Recent Harvard alums often represent their employers at career fairs, making it even easier for you to connect and ask questions. Collect business cards or contact information and stay in touch. Below are some of the key events already planned on campus for the 2018-2019 academic year. Be sure to check the OCS Calendars for any updates and changes. OCS arranges many panels with diverse employers and organizations where alumni and other professionals talk about careers in areas such as nonprofit management, fashion, sports, entertainment, global health, human rights, international development and more. Most organizations do not hire through the Campus Interview Program, so use these panel opportunities to build your professional network and connections. Remember that the panelists are always looking to meet new people who are passionate about what they do and who may want to join their organizations and become the next generation of leaders in their field. See “OCS Fall Programming” in this section for a sample list of programs currently scheduled for this fall, and check the OCS Calendars for additions, updates, and changes. Attend Employer Networking & Information Sessions. Over 100 organizations, mostly large employers who hire a lot of people at one time, come to campus looking specifically to meet Harvard students and to present information about their organizations. Make sure you check out the OCS Employer Events Calendar for specific dates and times. Don’t be discouraged if the type of organization you would like to work for does not offer an employer session, as there are many other ways to get in front of potential employers. While these sessions can be great learning experiences, they are also a chance for you to stand out from the stack of resumes these organization representatives have in their offices. Take the opportunity to demonstrate your passion for the field as well as your “soft skills,” including how well you interact and communicate with different kinds of people. If an employer sees that you will handle yourself well in a professional social situation, it will help them remember you and pull your resume out from the pile of other candidates! Attend Employer Programs and Interview Workshops – Learn directly from experienced professionals how to navigate the hiring process in their fields. Employers also come to campus to present finance, technical, and case interview workshops. These are excellent learning opportunities for students who think they may be interested in interviewing for these types of positions. Employer Networking Nights – Learn about the opportunities at some of the smaller or niche employers that recruit on campus. Employer or Recruiter Office Hours/Coffee Chats – Usually held at OCS, the OCS Interview Facility, or a local café, office hours/coffee chats are a great way to get recruiting, application, and interview questions answered while demonstrating your interest and developing connections. Bring your resume and/or cover letter for employer feedback. See the OCS Employer Events Calendar for dates and details. Leverage the Harvard Network Remotely. Although face-to-face events continue to be important, there are many tools and technologies for making connections online. Reach out to Harvard alumni virtually, especially if the organization that interests you is not represented on campus or you were not able to attend one of their events. Many Harvard alumni are willing and happy to speak to current students about their field, career path, and specific opportunities. Check out the Making Connections section on the OCS website for a guide to informational meetings and utilize online tools such as LinkedIn, the OCS Firsthand Advisers platform, and the Harvard Alumni Association (HAA) alumni directory to connect with alumni (see the Resources section of this guide for more information about online networking tools). Some exclusive to Harvard students, OCS’s online resources provide job and internship listings, networking contacts, and industry information access 24/7. Attend a workshop at OCS to learn more about these databases, or stop by OCS during Drop-Ins to have a member of the OCS first-floor team give you a personal demonstration. UCAN - Select colleges and universities from across the country jointly post over 9,000 domestic and international internships each academic year in order to represent a wide diversity of geographic locations, industries, and job functions. iNet - An elite Ivy+ internship database with nearly 3,000 internship postings, iNet includes a range of industries, with nonprofit, communication/media, marketing, tech, and startup employers among the most represented. *Access UCAN and iNet via Crimson Careers (requires one-time registration). Make sure to always follow up with connections and add them on LinkedIn. It never hurts to start developing your network early. Also note that Crimson Careers is the platform OCS uses to allow students to sign up for one-on-one appointments with advisers and to RSVP for OCS workshops and programs as well as employer events. GoinGlobal includes informative country guides with tips on local professional etiquette, tailoring resumes and curriculum vitae by country/region, and visa information. GoinGlobal also provides resources for international students looking to work in the U.S., including a list of all of the employers who applied for H1-B visas for their employees in the previous year. Often used for career exploration and interview preparation, Vault has over 140 downloadable career guides, employer profiles and rankings, as well as discussion boards, industry blogs and news. Free access to the MyPlan.com interests, skills, and values self-assessment exercises helps many students get started. To take any of the assessments, students simply create an account through the OCS website. Connect with alums who have worked at top employers worldwide and have volunteered to offer you a resume review, mock interview, or career conversation. OCS Firsthand Advisers allows you to search alumni profiles using filters such as industry, employer, and area of expertise. When you find someone of interest to you, the platform allows you to schedule a phone conversation in a few easy steps. The Harvard Alumni Association (HAA) provides an alumni directory available to current students as well as all Harvard alumni. Start to build your professional network by connecting with alumni who have volunteered to speak with students about careers, pathways and industries. Select multiple career areas and keep searches broad; use this resource to make connections and request informational meetings, not for job placement or listings. Jobtreks is a tool to help manage your career exploration, networking, and job search. The easy-to-use dashboard allows you to research organizations, create to-do lists, maintain notes, set-up reminder alerts, and keep track of your progress. You may hear that to be successful in the job search and interview process you need to “do your homework.” This means researching the employers and industries that interest you. Background research will help you tailor your resumes and cover letters, prepare for interview questions, and ensure that you are prepared to evaluate job and internship offers when you get them. Make sure to narrow down your application focus before you go onto the job search, not only will it save you time, it will help you prepare much better for interviews if you have a compelling narrative and solid understanding of a particular industry. When going through the job or internship search, it is always important to present yourself as someone ready for employment and the responsibilities that go with it. Interactions with employers, though some more casual than others, should always be professional. Be polite and engaged with everyone you encounter, even people who you don’t necessarily think will be part of the hiring decisions, like receptionists and wait staff at restaurants. Make sure to think beyond just face-to-face events and consider all the ways you might communicate with an employer. Email: Make sure your emails are businesslike with proper grammar and punctuation. A pet-peeve of many recruiters and alumni is when students begin an email with “Hey.” Use “Dear” or “Hello” as your greeting. Also, don’t forget to revise your email signature to something appropriate for correspondence with employers and alumni. Telephone: Employers will try to reach you by phone, so set up your voicemail, and make sure your outgoing voicemail message and ring back tones are straight-forward and professional. Check your voicemail regularly so a recruiter never gets a message that your mailbox is full and cannot leave you a message. Remember to return voicemails with a phone call – take the cue from the employer as to how they want to communicate with you. If you can’t reach the employer by phone, leave a message and then follow up by email to schedule a conversation. Online: Edit what you have on Facebook and other social networking sites and update your security settings. What would happen if a recruiter Googled you? Also, be proactive about your online presence by setting up a professional LinkedIn account. Some things vary by industry and organization, such as dress code (see the Interviews section of this Guide for more details on dress). This is why you should always do research online, make connections with alumni and other professionals in the field, and follow any formal instructions or informal cues given to you by an employer. When in doubt, always err on the formal side until you are sure. As you meet with outside employers and organizations, remember that you are not only representing yourself, but the Harvard community as well. Although applying to positions and interviewing with organizations is often about “putting your best foot forward,” it is important that the things you communicate about yourself and your accomplishments be accurate and true. It can be challenging because you don’t need to disclose all information to a potential employer – you don’t need to reveal to an employer that you are also interviewing with their biggest competitor or tell an interviewer that your greatest weakness is that you often sleep through your alarm – but the information you do reveal should be honest and in good faith. When in doubt, don’t hesitate to consult with an OCS adviser. Note that employers may ask for your “Unofficial Transcript” or other documentation during the application, interview, and hiring process. Your “Unofficial Transcript” must be your Unofficial Transcript or a copy of your Official Transcript only. Misrepresenting yourself and your Harvard record can be an Honor Council or Ad Board offense. We — the academic community of Harvard College, including the faculty and students – view integrity as the basis for intellectual discovery, artistic creation, independent scholarship, and meaningful collaboration. 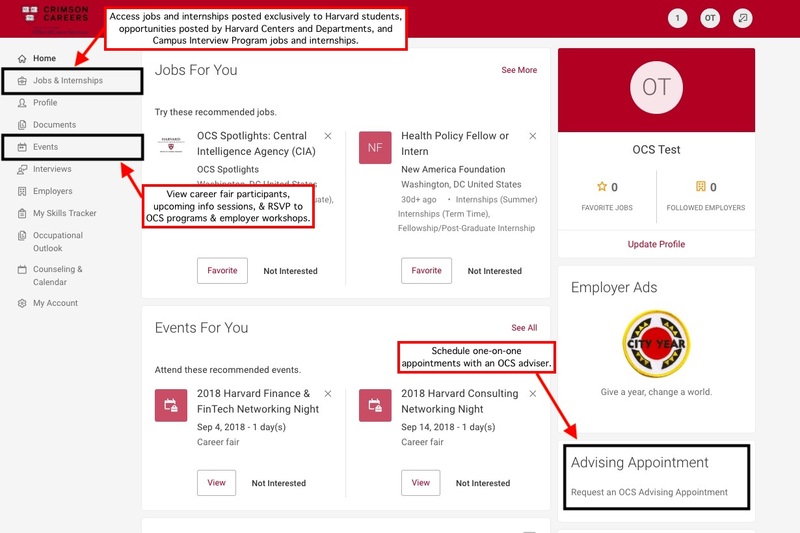 Through the Crimson Careers online system, you have access to jobs and internships posted exclusively to Harvard students, opportunities posted by Harvard Centers and Departments, internships posted by our iNet and UCAN consortia partners, employer events, career fairs, OCS workshops and programs, as well as appointment scheduling with OCS advisers. Below is a brief overview of how to navigate Crimson Careers. There are thousands of opportunities posted in Crimson Careers beyond the Campus Interview Program. Utilize Crimson Careers postings to access opportunities at employers like Hulu, Legendary Entertainment, The Nature Conservancy, Dana Farber Cancer Institute, Yelp!, and more! Navigation Bar – The navigation bar, located on the left, is consistent throughout every screen in Crimson Careers. As you get more familiar with it you may find other ways you prefer to get from place to place in the system, but the navigation bar is an easy place to start. Home Tab – On the home page of Crimson Careers, you will find shortcuts, announcements, and alerts indicating activity on your account or steps you need to follow, such as signing up for a campus interview. Profile - You do not need to fill out this section unless you would like to make your profile public to employers. OCS recommends utilizing other tools such as LinkedIn to have a searchable profile. My Account – The “personal” sub-tab contains basic yet important information for OCS internal use only and is not visible to employers. Keep your phone number and email address up-to-date so that OCS can contact you in case of a change in schedule, interview cancellation, or a last minute open interview time! Make sure that your class level and graduation date are correct under the “academic” sub-tab. Please note that you must use your @college, @fas, @alumni, or @post email address to access the Crimson Careers system. If you are having this email account forward to another account, like Gmail, be sure to double-check that you are not missing any important system messages by continuing to check your Harvard account while you are conducting your job search. Email messages, such as appointment and interview reminders, are sent from Crimson Careers on a batch basis and may be filtered as spam or promotions during the forwarding process, so check these folders as well. Upload resumes, cover letters, and writing samples as .pdf to better maintain formatting and to reduce the upload time. “Unofficial Transcript” means a scan of your Official Transcript or Unofficial Transcript from the registrar or my.harvard.edu only, see the Campus Interview Program section of the OCS website for more details. Always “View” uploaded documents from the documents tab to ensure proper formatting was maintained in the file conversion. There is NO LIMIT as to how many documents you can upload, so take advantage and tailor your resumes and cover letters to the specific positions you are applying to whenever possible. Saved Searches: Set up saved searches based on keywords or other search criteria in Crimson Careers. Simply click the “Create Saved Search” option (located above the search results list) to save your search criteria and opt to receive email updates when new postings are added either daily, weekly, or monthly. 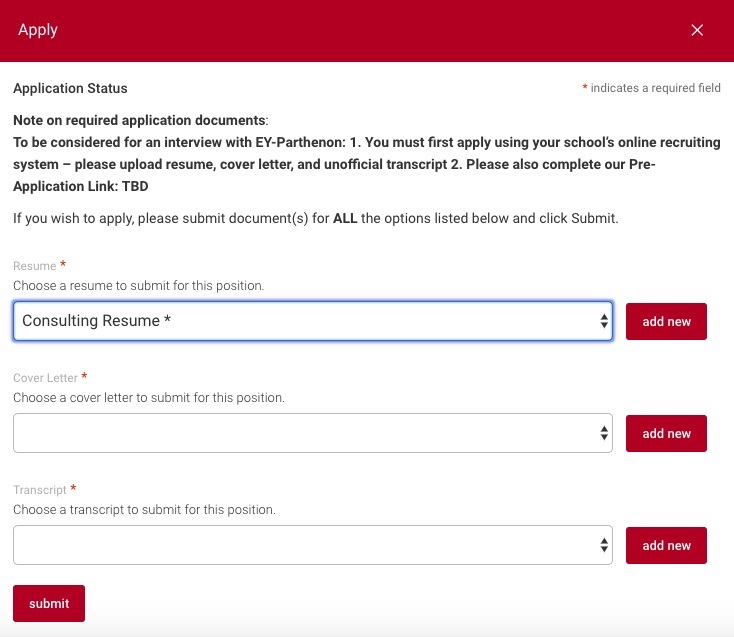 Applying to Jobs and Internships in Crimson Careers – Whenever possible, tailor your application materials to the specific internship, job, organization, or industry for which you are applying. Make it Final! Think of your application as if you are sealing it and posting it by mail to the employer. Changes you make to your documents will not change or update a submitted application. To review applications to non-campus interview positions, navigate to the “Jobs & Internships” tab and then to the “Applications” sub-tab. Employers will contact you directly by phone or by email if they would like to schedule an interview. See the Campus Interview Program section of this Guide for specifics about applying to campus interview opportunities, as they are managed differently. I will be working for a strategy consultancy, ReD Associates, that applies the methods of the social sciences to business problems worldwide. What advice do you have for Harvard undergraduates? Ask yourself: what am I good at and what do I enjoy doing? Once you have a couple answers to those questions, to get a better sense of what it means to be a doctor, a lawyer, a teacher, an investor, an actor, leverage Harvard's extensive alumni network to shadow for a day or two. Choose the concentration that you think will give you the necessary foundation to ask the right questions, not the one you think will impress the most amount of people. Research a variety of professional lives, there is a wider diversity of jobs on this planet than we think or there seem to be! I will be joining Goldman Sachs as an investment banking analyst. I also plan on teaching English to Chinese seniors to help them gain US citizenship. My best advice is to take Harvard one semester at a time! With all the new opportunities on campus, many people become overwhelmed and tend to overcommit. I recommend setting one accomplishable goal for yourself each semester (ex. dive into a research project, secure a summer internship, invest in building friendships). This way, you can explore new activities while still staying grounded in what matters most. Look beyond the opportunities that are immediately available to you at Harvard. Career fairs can be useful, but there are also plenty of companies/organizations that do great work that can't afford to send someone to the career fairs, so don't feel limited by what you see on campus. I will be working as a bilingual paralegal at a migrant rights' organization named Justice In Motion. My advice is to not worry about your postgrad plans too much; mine even ended up changing so much over the course of senior year. That being said, it's okay not to have everything figured out by the time you graduate. One of my priorities was to take a few months off after graduation to travel and see family abroad, and if that meant I wouldn't have anything lined up by graduation, I was okay with it. A resume is a concise, informative summary of your abilities, education, and experience. It should highlight your strongest assets and skills, and differentiate you from other candidates seeking similar positions. Although it alone will not get you a job or internship, a good resume is an important element toward obtaining an interview. Tailor your resume to the type of position you are seeking. This does not mean that all of your experiences must relate directly, but your resume should reflect the kind of skills the employer would value. Find additional guidance on resumes and cover letters, including resume samples and templates, on the OCS website or on the first floor of OCS. 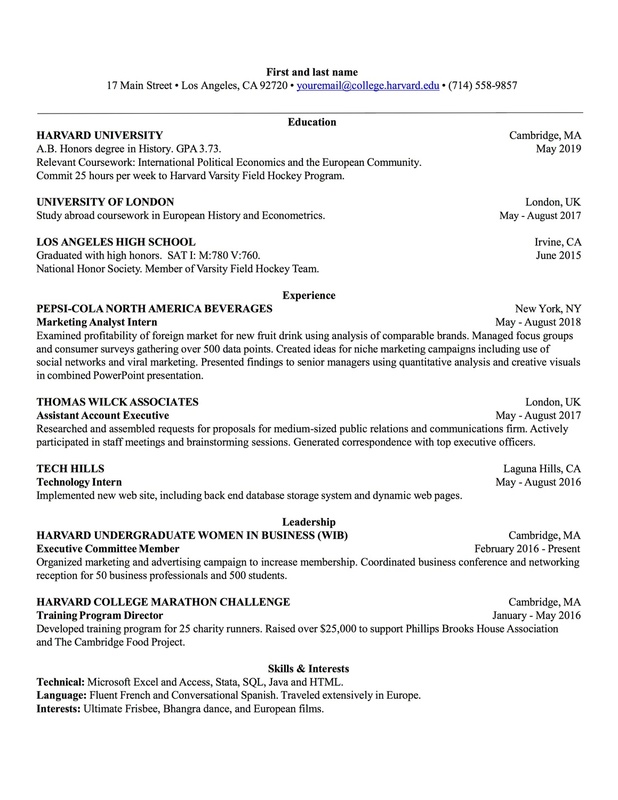 Draft a resume using one of the templates on the OCS website. Employers prefer resumes that follow a consistent, accessible format. Resume guidelines can vary from country to country. Check out GoinGlobal at https://ocs.fas.harvard.edu/going-global. Resume and Cover Letter Workshops. In addition to in-person workshops throughout each semester (check the OCS Calendars), you can also learn the nuts and bolts of resume writing from the resources section of the OCS website. OCS Drop-Ins. Monday through Friday, 1–4pm; come by for a ten minute conversation. Get any career question answered and have an adviser look at your resume or cover letter. Express Appointments for JUNIORS & SENIORS. 20-minute express appointments will be available in September, weekdays, 10am-12pm. Industry-Specific Resume Review Clinics. Led by employers in areas such as consulting and financial services; listed on the OCS Employer Events Calendar. Bring your resume and/or cover letter to a coffee chat or office hour appointment for additional employer feedback. A cover letter is an important part of the application process. It is an opportunity to make a concise argument as to why you are a great fit for the particular position and how you can contribute to the organization. Your cover letter should demonstrate that you have thoroughly read the job description and the employer’s website while highlighting your skills and experiences that are most applicable to the job or industry. It is not a narrative version of your resume, but instead a means of connecting your resume to the specific needs of the position and organization. While many sections and ideas in your cover letter can be reused for multiple positions, even in multiple industries, avoid using a generic cover letter. You may have filled out a common application for colleges, but for job applications your materials should always be as tailored as possible to the needs and specifications indicated in the employer’s job description. Leverage the connections you have been developing! Reference anyone you know or have met at the organization in the opening paragraph of your cover letter. 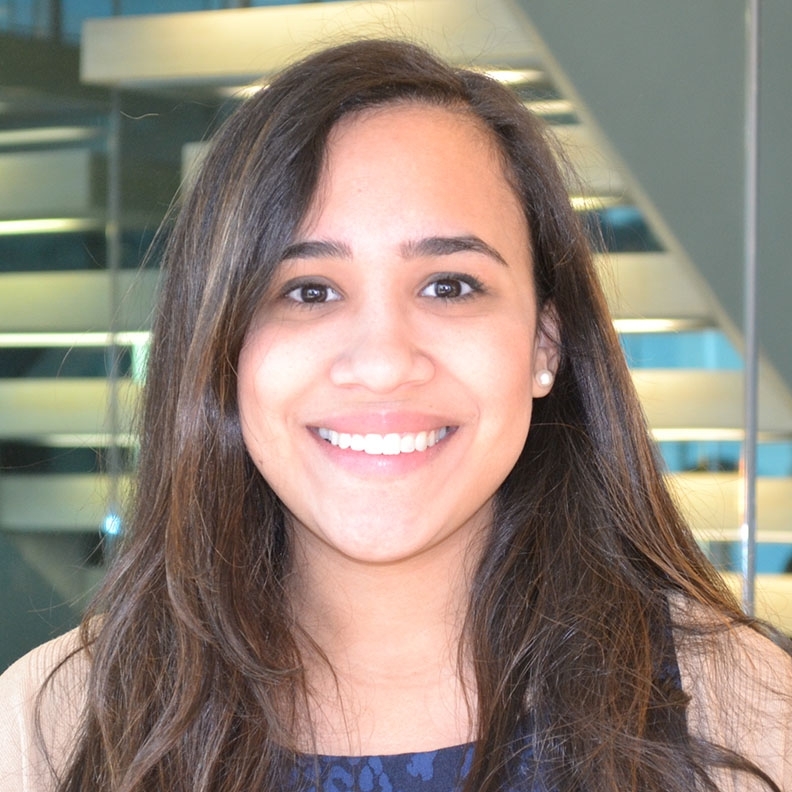 For example, 'After speaking with Sonia Dara at Microsoft's campus presentation, I know my analytical and communication skills will be a good fit for the Marketing Analyst role.' You do not need to know the contact extensively, but be genuine in how you refer to him or her. Address your letters to a specific person if you can. Tailor your letters to specific situations or organizations by reading the position description, reviewing the organization website, and doing additional research before writing your letters. Keep letters concise and factual, no more than a single page. Avoid flowery language. Give specific examples that support your skills and qualifications. Put yourself in the reader’s shoes. What can you write that will convince the reader that you are ready and able to do the job? Don’t overuse the pronoun “I”. Remember that this is a marketing tool. Use lots of action words. Have an OCS adviser provide feedback on your letter. If converting to a .pdf, check that your formatting translates correctly. Reference skills or experiences from the job description and draw connections to your credentials. Make sure your resume and cover letter are prepared with the same font type and size. You can find additional guidance on cover letters, as well as letter samples on the OCS website or on the first floor of OCS. How do I know if a cover letter is required in Crimson Careers? Application requirements are listed once you click the “Apply” button for a specific job or internship in Crimson Careers. You need to upload a resume for the system to know that you are eligible to apply and to reveal the application requirements, so you might want to upload a blank document as a resume to get started. If a cover letter is not required, should I submit one anyway? For Campus Interview Program positions, submit a cover letter only when the field is listed in the “Apply” section. Employers are very specific about what they want and are looking for candidates to follow instructions. For other positions, you should also generally follow instructions, but as long as it is not specifically prohibited, a thoughtful, tailored cover letter will add value to your candidacy. 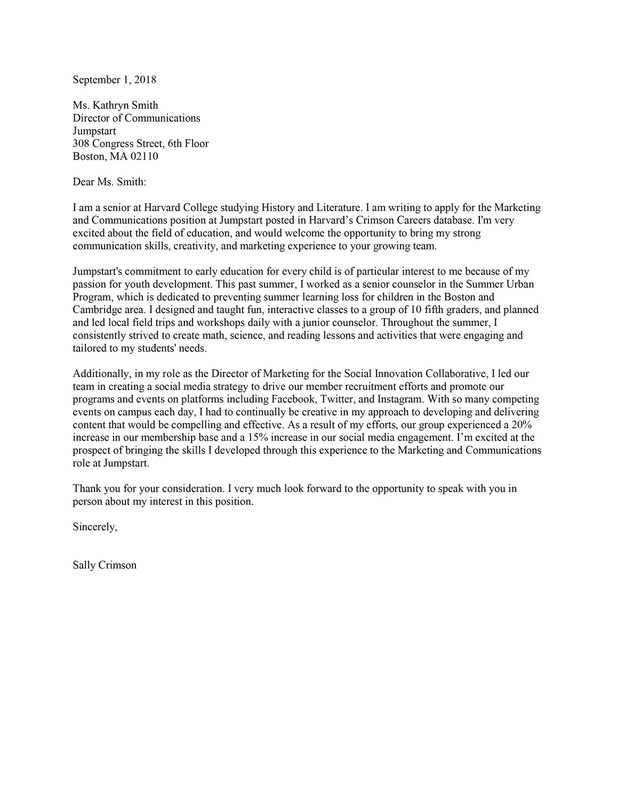 To whom do I address my cover letter? 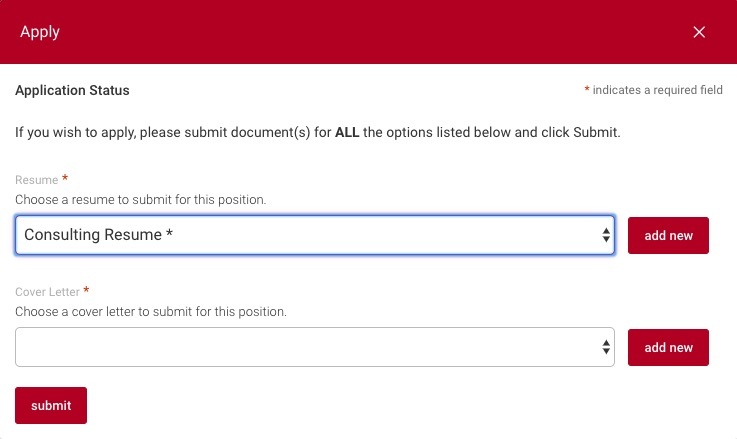 Unless there is a separate contact listed somewhere in the body of the position description, you should use the contact information posted in Crimson Careers. You can find the contact's name on the bottom, right-hand side of the position description. If you do not find a contact name, “To Whom It May Concern” is sufficient. Each employer, organization, or program determines its own application requirements. While resumes and cover letters are the most common application materials, you could also be asked to provide an unofficial transcript, a writing sample, a letter of recommendation, or complete an online application. Read job descriptions and application requirements carefully so you give yourself adequate time to complete the necessary steps. Most recently, employers have been adding a range of “assessments” and employment tests to their application requirements. Although more common in Europe and the U.K., these online tests and games are gaining popularity in the U.S. These assessments are early efforts to identify predictive analytics for recruiting and hiring, and they use data analytics and machine learning to source talent, minimize bias, predict who will perform well on the job, and who will stay in the organization. Students are not encouraged to prepare extensively for these tests, as they are designed to evaluate certain qualities and aptitudes such as logical reasoning, empathy, and risk-aversion. However, most of these assessments will take students 20 minutes to an hour to complete, so it is important to factor in that time when completing multiple applications at once. Some of the specific assessments include tools by Gartner, Knack, Koru, and Pymetrics, and Anheuser Busch-InBev, Bank of America Merrill Lynch, and Citi are among the larger employers starting to use them. Employers often tell OCS that most Harvard students are capable of doing the job for which they are hiring. What they are looking for are the candidates who want to do the job for their particular organization. That is why some of the most common interview questions are Why do you want to work here? and Why are you interested in this position? To answer these questions, prepare to do more than communicate your achievements or describe your skills. You need to be able to relate your skills and experience to the specific demands of the position, demonstrate that you understand the work of the organization/employer, and convey your sincere interest and enthusiasm for the opportunity. In other words, it is your responsibility to help the interviewer answer their ultimate question, Why should we hire you? Before the interview, read the employer’s website and review any print material that you may have picked up at a career fair or other hiring events. Set up Google alerts for the organization to get information from other sources, and consider following them on LinkedIn, Twitter and other social media. Stay current on industry news by reading daily news sources. Utilize Harvard online subscriptions such as Vault (available through the OCS website) for additional industry and organization information. Whenever possible, attend the employer’s networking and information session or connect with someone who works there to increase your visibility in the organization and to gather additional information. Use the Harvard Alumni Association directory and LinkedIn to identify and reach out to alumni. Year after year, OCS employers consistently rank employer research as the weakest element among Harvard candidates. For example, do you know the name of the company's CEO? Can you talk about a recent article that mentioned the organization? Do your research and separate yourself from the pack! Be prepared to discuss everything on your resume. Remember that your resume is the only information most interviewers will have about you. Expect questions about your choice of activities, professional experiences, concentration, and thesis (if applicable). Employers and organizations are interested in knowing how you've chosen to spend your time and energy, and why. Help your interviewer get to know you and differentiate you from other students. Don't be too brief when answering "what and why" questions, but don't ramble, either. Expand on your experience and skills. Focus your responses on how these relate to the job for which you are interviewing. The old saying “practice makes perfect” certainly applies to the interview process. Practice doesn’t simply mean that you are memorizing answers to questions, but are instead assessing how you answer questions, whether you are making eye-contact and seem interested, seeing if your explanations are clear, and understanding the reasoning behind certain questions as well as how to connect your experience to them. You can practice with roommates, family, friends, house tutors, and by appointment with advisors at OCS. Utilize OCS mock interview opportunities and online resources, such as InterviewStream, to record and review your responses to common interview questions, and OCS Firsthand Advisers, to practice over the phone with alumni. The more experience you have articulating your thoughts and highlighting your skills, the more effective and polished your presentation will be. Thoughtful questions will help you reiterate your interest and demonstrate that you have done your own research regarding the available position. Questions also help you obtain the information needed to make an informed decision. Make sure you know the next step in the process before you leave. Ask, “When might I expect to hear from you?” and, if applicable, indicate your continued interest in the position. A well-groomed, professional appearance is essential to making your best possible impression. Decide what to wear well before the day of the interview. A good way to determine suitable attire is to look at what people typically wear in the organization or industry for which you’re interviewing. Generally plan to wear a fairly formal outfit in a dark color. In some creative and technical fields you may have more leeway in terms of formal vs. casual attire, but it’s always safe to err on the formal side. Avoid: wild ties, attention-grabbing jewelry, strong scents, and bold colors. Check out the OCS 'Dress for Success' Pinterest boards for some visual examples, ideas, and articles about professional attire. Project enthusiasm, confidence, and a positive attitude! Convey the message that you are the best candidate for the position and that this is the employer for whom you want to work. A job interview is not the place to be "laid-back;" it is up to you to “sell” yourself for the job. Market your skills and experience to fit the job requirements, which you know from careful and extensive research of the employer. Be professional, polished, and confident. Employers increasingly opt to use phone and video interviews more comprehensively, perhaps even asking case questions and technical questions in this form. In light of this, we encourage you to prepare for phone and video interviews as you would for any interview. Enunciate slowly, clearly, and with adequate volume. Convey, through your voice, enthusiasm, passion, and competence. Avoid “up-talk”—the verbal punctuation of each sentence with a question mark. If possible, use a landline instead of a cell phone to avoid static, noise, and losing signal. Plan the time and place of your phone interview so that you have privacy, a quiet space, and a good connection. Dress as you would for a real interview. Dressing the part will help you focus on the importance and purpose of the conversation. Have clear and organized notes in front of you as reminders of questions to ask, background information about the employer, and perhaps even strategies for answering tough questions. Don’t be afraid of silence. If you’ve given a strong answer and there is no response, the interviewer is most likely taking notes. Don’t ruin a great response by rambling on with more details! Schedule a room at OCS for a phone or video interview that takes place during regular business hours, Monday through Friday, 9am-5pm, by emailing ocsrecep@fas.harvard.edu (based on availability). Also consider reserving space at the SOCH, your House, and the new Cabot Library in the Science Center, which features three personal chat booths that facilitate interviews or video conferencing. Become familiar with the technology. Ask what product or service will be used and practice with your friends and family if you can. This will make you more comfortable in the interview, allowing you to focus on the conversation. Remember that the interviewer will be able to see you AND the things that surround you. Items in the background can reflect on you as a candidate. Consider removing things from the background or find an alternative location for your interview. Maintain eye contact by looking at the camera on your computer instead of the screen. Many technologies allow you to view yourself simultaneously, and it is tempting to monitor yourself rather than stay focused on the interviewer. As with an in-person interview, dress appropriately for the position and organization. As with a phone interview, make sure that you have privacy, a quiet space, and a good connection. Practice by using a tool like InterviewStream (available for free through the OCS website). Record yourself answering interview prompts and use the self-assessment check-lists in InterviewStream to evaluate your responses. Schedule plenty of time. Typically you will need to complete the interview in one sitting and cannot pause and come back to it later. Each interview question response will have a time limit (e.g. 3 minutes), but some employers will allow you multiple attempts at a given question. Make sure you allow enough time to take advantage of this without rushing the end of your interview. Pick a time to interview when you will be at your best. Just because you can complete the recorded interview at 2am does not mean that it is a good idea to do so. As with any video interview, make sure you have a quiet, private space with a neutral background. Dress in interview attire, make eye contact, and practice with the specific software in advance whenever possible. Accept any help offered by the employer. Most employers understand that this is a new process and may have tip sheets and other preparation tools specific to their organization. OCS offers a number of opportunities to learn more about interviewing and to practice your skills, including case workshops and mock interview marathons in the fall semester. Fall 2018 dates are listed below, however, refer to the calendar section of the OCS website for details and updates. Led by employers in areas such as consulting, financial services, and technology. See the OCS Calendars for dates and times. Available at OCS and on the OCS website. Includes online texts by Vault, titles like Case in Point by Marc Cosentino and Investment Banking: Valuation, Leveraged Buyouts, and Mergers and Acquisitions by Joshua Rosenbaum ‘94. OCS has purchased a subscription to InterviewStream, an online practice interview system. Using a webcam, you will be able to record a practice interview and have the option to self-review. You may also seek feedback from mentors, peers, or house tutors by sharing your interview via email or unique URL. Access InterviewStream from the OCS website (PIN protected). OCS offers free online access to CQI Interactive, the online version of Marc Cosentino's widely-know Case-in-Point book on case interview preparation. Access CQI Interactive from the OCS website (PIN protected). Connect with Harvard alums for a career chat, resume review, or mock interview. 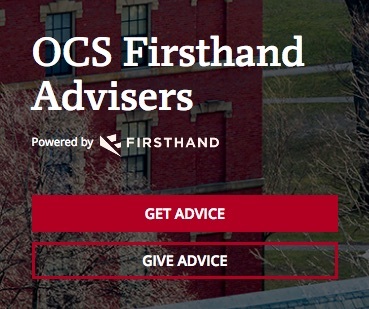 OCS Firsthand Advisers makes it easy to schedule a phone call with alums who have volunteered to be contacted. Access OCS Firsthand Advisers from the OCS website. Many employers use a “Behavioral Interview” to assess candidates’ skills and fit with their organization. The principle behind this type of interview is that past behavior predicts future behavior. In most cases, the employer has predetermined a specific set of characteristics, often referred to as “competencies,” that are required to be successful in the available position. Some examples of competencies include problem-solving, teamwork, communication, writing skills, and leadership. The employer then designs open-ended questions that ask you to refer back to a particular situation and describe how you responded. Many employers will openly discuss their chosen competencies with candidates at a career fair, networking & information session, or other recruiting or educational event, like a pre-night the evening before the interviews. For example, an interviewer may request, “Tell me about a time when you were on a team that was not working well together.” The expectation is that you cite a specific situation from your own experience. Unless the interviewer indicates otherwise, the example you describe can come from your work, school, activity, or volunteer experience. It is important that you have something specific to say and that you can describe your own role and what you learned from the particular situation. Be aware that the interviewer is expecting to ask you multiple questions, so be as concise as possible while getting your point across. The qualities listed below are sought by many employers, and you’ll want to continue to develop these across your career. To prepare for interviews, identify and practice telling stories for each of these eight competencies, demonstrating at least one of the related qualities in your example. Coding Languages: Java, C++, Python, etc. In addition to determining how your interests and skills “fit” with the position and organization, the interviewer is also assessing how you might fit with the company or team culture. Sometimes fit questions are simply about whether you can connect with the interviewer on some other topic apart from your work or Harvard experience. Consider how you want to discuss another interest that you have, whether it be art, current events, gaming, etc., should an interviewer ask you about them – especially if you have referenced these interests on your resume! Many interviewers also apply what is colloquially referred to as the “airport test,” especially in fields where people work for long hours in teams. While listening to your responses, the interviewers are mentally asking themselves, “Is this someone I could be stuck with at an airport for 12 hours?” It is important to keep in mind that this question is not a social question about friendship – this question is in a professional context to encapsulate other questions like: “Can you make the most out of a bad situation?” and, “Can you get along with your colleagues for long periods of time under less than ideal circumstances?” You may consider applying this test yourself as you evaluate whether this is an organization or field where you want to work. Interviewers will often ask negatively framed questions as part of a behavioral/fit interview. These questions, such as "Tell me about a time you made a mistake" or "What is your greatest weakness" can be the most difficult to answer, and it is important to prepare for them. These questions are being asked in order to understand how you handle challenging and tough situations, and to gauge how much insight you have into yourself and areas where you need improvement. Be honest and truthful in your answers, take responsibility for mistakes you have made, and be accountable for areas in which you need improvement. Try to focus on behaviors, not personality traits, and talk about ways in which you are working to improve upon weaknesses. Know that everyone has weaknesses, and everyone has made mistakes. If you are thoughtful and strategic in your answers, you will provide the interviewer with the information they need to have a full picture of you as a candidate. Because of the highly analytical and quantitative nature of the field, finance interviewers may purposely create a challenging environment to test how you will respond in an actual work situation. It is not uncommon for the interviewer to ask seemingly odd questions in a rapid-fire manner such as, “Quick, what is your SAT score?” or perhaps, “A client is screaming at you on the phone, how are you going to calm the situation?” Even the interview room may be set up so that multiple interviewers have a role to play in creating a test situation (think good cop/bad cop). Remember, in these types of interviews, employers want you to showcase your ability to remain composed under stress, analyze a situation, and form conclusions about the situation. The finance interview seeks to assess two things in a candidate: (1) fit for the job and the organization and (2) technical knowledge. In the world of finance, there are multiple functions such as investment management, investment banking, sales, trading, brokerage, financial advising, venture capital, etc. Assessing “fit” for a position usually involves questions you are familiar with such as “Tell me about yourself,” and “Why are you interested in working for our organization?” The technical questions will be specific to the finance area for which you are interviewing. For example, common questions for investment management might be “Tell me about your dream stock portfolio? What is your investment strategy? If you are given a company, a market or an industry, what would be the steps to evaluate them?” The point here is to make sure that you have adequately reviewed the basic concepts of the area you are interviewing for and keep up to date on the literature in the field such as the Wall Street Journal and/or The Financial Times. It is especially important to review the financial news on the day of a finance interview. Finance interviews may also use case questions as part of their general interview format. Although the use of case questions in finance interviews varies depending on the employer, it is important to be prepared. The case question, inherent in many business and consulting interviews, is one way of determining whether a candidate has an aptitude for handling complex business problems. How a candidate answers a case question can reveal both the student’s ability to do the job and desire to do so. Case questions most often illustrate the nature of the employer’s work. Questions are sometimes drawn directly from the employer’s experience or can be crafted on the spot from news of the day. Most employers don’t expect in-depth business knowledge or high-level business terminology (there are exceptions, usually on the individual interviewer level). What they are looking for is whether the student has the analytical or problem-solving ability and the business sense to know what matters in a specific situation and can clearly explain it. Most often, the employer verbally presents a business scenario and asks how the candidate would approach the problem. Sometimes, usually in later round interviews, some employers will present the candidate with a case study in print and allow the candidate a designated period of time to analyze the data either alone or in a group. If the case question is presented verbally, make sure you understand what is being asked of you. Reiterating the question is an effective way of confirming that you are on the right track, and it gives you a moment to think about the situation with which you are faced. Once you are sure you understand what has been presented, don’t be afraid to ask a few questions. A few clarifying questions may well save you from launching into an elaborate analysis that lacks focus and misses the point. In preparing to answer the case, don’t feel that you need to dive headfirst into immediate solutions. Remember that it’s not the solutions they’re looking for, it’s the analysis. They want to hear how you’re thinking about this problem. Organize your thoughts. Think of a systematic way to look at the evidence that has been presented to you. Case interview guidebooks offer a variety of frameworks and strategies that can be useful tools for organizing your thoughts, but none take the place of common sense. You may not have taken business courses at Harvard, but you most certainly learned how to think analytically and use reasoning. Begin by talking about how you “might” want to look at the situation. Share your thoughts so that the interviewer can hear that you are thinking about the broadest dimensions of the problem before you begin suggesting potential paths that you might follow in pursuit of a solution. Taking the time to introduce your approach allows the employer to see that you get the “big picture.” In a first-round interview it is unlikely that you will have time to proceed through all of the necessary analysis. 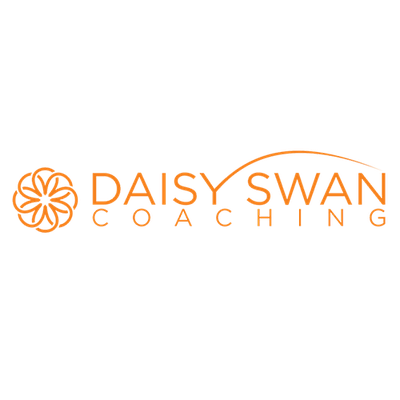 Upon demonstrating an understanding of the scope of the problem and developing a strategy, the employer may very likely suggest that you spend the rest of your time on one area of the analysis. For example, “Let’s talk about the customer. How would you carry out that analysis?” Approach a case interview with careful preparation and practice. “A case interview is a dialogue about a business problem derived from real-life business situations. During the course of the discussion, the interviewer and interviewee will collaboratively work through a number of qualitative and quantitative approaches to the business question. The discussion typically moves from identifying a critical issue, breaking the problem into component parts, and finally recommending one or more solutions. A case interview is a dialogue about a business problem derived from real-life business situations. 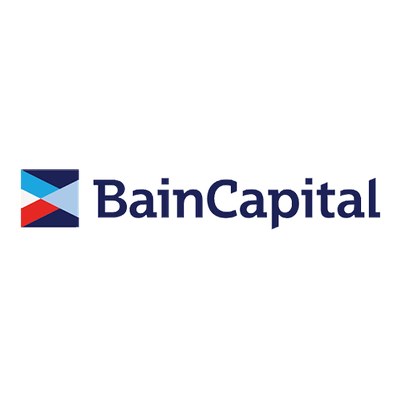 A consulting firm, such as Bain & Company, uses case interviews to see how you think about the types of business problems we work on each day. The best case interviews are thoughtful and collaborative dialogues about potential approaches to solve a tough business problem. We are not looking for a "right answer" or asking you to display knowledge of specific business terms, current events or well-known frameworks. Rather, we hope to see a good dose of analytical problem-solving skills, creativity, common sense and recommendations aimed at generating results for our clients. If you are applying to a technical role like software developer, data scientist, or algorithmic trader, you should expect a technical interview or technical questions. Be prepared to code in any languages listed on your resume, and if given the option, choose to code in the language you are most comfortable with. Interviewers will typically have graph paper, a whiteboard, or an online domain for you to display your code, but you may want to bring graph paper with you just in case. Sometimes puzzles and other types of coding challenges are also used. Similar to the case interview, puzzles and technical/coding challenges are often evaluating how you think and collaborate with team members, who in this case are your interviewers. Be prepared to discuss your code aloud with the interviewer and explain your choices. You may also want to review projects and classwork you have completed to have examples ready to discuss. Usually technical/coding interviews include some behavioral interview questions, so prepare for those question types, as well. Many employers offer guidance prior to the interview regarding the format of the interview, including information about interview attire. Feel free to reach out to the contact listed in Crimson Careers for guidance regarding interview format. Thank you letters to each interviewer are strongly recommended. Sending a thank you via email is usually sufficient because many employers make very quick decisions about whether a candidate should continue to the next round of their evaluation process. However, additional hand-written thank you notes can be a nice touch and a way to stand out, especially if you feel that your interviewer went out of his or her way to be helpful or informative. For campus interviews, contact information for your interviewers will be available for you to collect before or after your interview at the interview location. Most employers will invite you to visit on-site for a second interview if you are a serious candidate for employment. This does not mean that you are assured an offer – preparation for the second and/or final interview is essential so that you can present yourself effectively. Feedback from both employers and students indicates that second-round interviews have become increasingly rigorous and important in evaluating you as a candidate. You should never assume that you will receive an offer until the employer officially extends it. If an employer invites you back to their site for second or third round interviews, you can generally expect a fairly full day of meetings with a range of potential colleagues and supervisors. Make sure you get the names and titles of people with whom you will be interviewing so that you are prepared. The interviews are likely to be a similar type as your first round, but more in-depth and with more and more senior-level interviewers. Know that while you are a serious candidate if you have made it to this stage, every part of the day (including lunch and dinner) is evaluative. Take the opportunity to demonstrate your soft skills like teamwork. For example, greet and interact with other candidates. If an employer offers any kind of assistance with preparing for interviews, TAKE IT! Many students make the mistake of trying to appear self-sufficient and don't accept help when it's offered. Instead, you should be prepared to take advantage of any interview guidance or practice that's offered. Not only does it give you access and insight into an organization's particular interview style, it demonstrates that you are willing to use all the resources available to you to secure the job or internship offer. Remember that the decision-making process should be a two-way process. Think about the information you need about the job, employer, and working conditions to make an informed decision, and go into your interviews prepared to try to glean the knowledge you need to make an informed decision. If you decide to decline an invitation for a second interview, or if you have accepted a second round interview but cannot keep the appointment, please notify the employer as soon as possible. It is OK to cancel a second round interview with appropriate notice. Employers expect to be treated with the same courtesy they extend to you. Declining employers promptly with poise allows you to maintain a relationship with that organization and keep representatives in your professional network, even if you do not end up working for them. The Campus Interview Program process is highly competitive and only used by certain types of organizations. Some students mistakenly think of the Campus Interview Program as the “easy” way to find a job or internship, however, it is important to realize that it is often time-intensive and stressful with multiple quick deadlines and demanding interview schedules. The program is one tool among many that students should utilize in their search for jobs and internships. Most Campus Interview Program events and interviews take place early in the fall semester, with employer events starting the first day of classes. Some program and employer events take place in the spring semester to introduce students to internship and full-time opportunities that will start the following summer, rather than the upcoming summer. For example, College students may register and start preparing for the fall Campus Interview Program by attending an orientation in the previous spring semester. By attending a spring orientation, students will receive tips and updates over the summer via the recruiting email list. As much as the Campus Interview Program tries to provide structure for the recruiting process, each employer is different and may have different requirements and practices, even within the same sector. Please note that recruiting timelines and other details may change. Students who register for the Campus Interview Program will be subscribed to the recruiting email list, which provides updates throughout the year. See the “Campus Interview Calendar” pages for important dates and deadlines. Why are there so many banking and consulting firms? OCS invites all types of organizations to participate in the Campus Interview Program. The only requirements are that participating organizations have paid opportunities and that they abide by the program’s policies and procedures, including Harvard’s non-discrimination policy. Last year’s Campus Interview Program included popular opportunities at Anheuser-Busch, EF Education First, Facebook, Kraft Heinz, PepsiCo, the U.S. Navy, and Walt Disney. That being said, many types of organizations do not hire through such an elaborate process as the Campus Interview Program. Formal programs are very time consuming and expensive for employers. Highly sought after organizations in areas such as sports, media, electronic gaming, non-profits, and entertainment are overloaded with applications and have no need to spend resources traveling to college campuses in search of additional candidates. Other types of organizations such as start-ups, venture capital, journalism, and biotech are looking for applicants to show initiative by finding them. Many organizations prefer to make “just in time” hiring decisions closer to the employment start date and cannot predict hiring needs in advance. If you do not see an employer, organization, or industry of interest to you interviewing on campus, they are most likely still interested in hiring you! Many employers who do not participate in campus interviews actively recruit Harvard talent by attending a career fair, participating in an OCS career panel, and posting in Crimson Careers. Refer to The Job Search section of this guide for tips on the entrepreneurial approach and making connections. Use OCS Drop-In Hours, Monday through Friday, 1 – 4pm to let OCS help you develop an individualized job or internship search plan. Employers frequently visit campus to help you with this step! Over 150 employers will attend the Business & Technology Fair, Finance & FinTech Networking Night, Consulting Networking Night, or host networking and information sessions on campus. Use these opportunities to meet face to face with Campus Interview Program employers, learn more about the organizations/industries that interest you, and learn how best to prepare for their application process. Follow up by sending thank-you emails to everyone you meet. Reference a contact you speak with in the opening section of your cover letters. Many employers in the Campus Interview Program are increasingly turning to their summer interns to fill their full-time openings, especially in the finance and technology sectors. These employers specifically target juniors for internships that allow both the student and the employer to test-drive a future full-time employment relationship. Students applying for junior summer internship positions must meet high standards and should prepare accordingly. Some sophomores may be targeted outside of the formal Campus Interview Program process. Many sophomore programs have a diversity focus. Sophomores and first-years are encouraged to attend the Diversity Opportunities Fair in September to explore these opportunities. Technology internships are more commonly offered to sophomores and even some first-year students. This hiring may occur through the formal Campus Interview Program, usually in October, for technical roles at organizations such as Microsoft and Facebook. In particular, be aware that the Wall Street firms almost exclusively hire from their summer intern classes and do not participate in full-time campus interviews for seniors. Several investment banks, including most of the Wall Street firms, host events in the spring semester to educate sophomores about internship opportunities for junior summer (not the upcoming summer). Some Wall Street firms are also replacing first-round, campus interviews with pre-recorded video interviews outside of the formal, Campus Interview Program timelines and process. Refer to the Interviews section of this guide for tips on how to prepare. In many cases competition for junior summer internships is more intense than for full-time jobs. This is especially true for consulting. Although consulting firms will interview a large number of underclassmen, they will extend relatively few summer internship offers. This is often because it is more difficult to find meaningful projects for untrained interns in such a short span of time. Even though there are fewer spots in consulting, summer intern recruiting is an important process that helps you develop connections and become more of a known entity with firms. Similar to the Wall Street firms, consulting firms may be on campus in the spring semester to meet and educate sophomores and juniors considering future summer internship or full-time opportunities. Consulting firms return to campus and make the majority of their offers through the full-time campus interview process for seniors in the fall. Other employers in the Campus Interview Program choose only to manage their full-time hiring through OCS. These companies often have summer internships but ask that students apply directly to them through their website (e.g. Anheuser-Busch and Walt Disney hire summer interns but only participate in the formal Campus Interview Program for full-time hiring). NOTE to Juniors and Sophomores: Don’t hesitate to attend an Employer Networking & Information Session in the early fall. Even if the employer is not specifically looking to hire interns, it is never too early to start gathering information that will help you be a good candidate later on. Many employers only have one session during the year, regardless of how many times they come to interview on campus. Stay in touch with interviewers, even if you don't get the job or accept another offer. Next round, it may come in handy. Students who study or work abroad are attractive candidates to employers. Going to an international destination shows initiative, independence, curiosity, a willingness to explore and acclimate to a new culture, and other valuable qualities. Employers do not want to miss these candidates, but the logistics of being out of the country do create some obstacles and may require extra leg work. Start early – Make a plan for how you will proceed given your unique circumstances. Remember that some elements of your search can be conducted even before you leave the country. If you will be abroad in the spring semester, note that the majority of campus interviews and related events for both full-time and intern hiring takes place during the fall semester. If you will be abroad in the fall semester, we recommend proactively reaching out to employer representatives/alumni online over the summer before you leave. Reach out to the recruiting contact listed in Crimson Careers and ask if it is possible to connect with a representative virtually or find alumni contacts via the HAA alumni directory, OCS Firsthand Advisers, and LinkedIn (see Make Connections in The Job Search section of this guide for more information). Be flexible – Each employer will have their own way of working with students who are going abroad, so be ready to research and adapt to their processes. This is also why it is important to start early. Use all your resources – OCS advisers and staff are available to help you strategize your individual approach. Many of our resources are online and accessible from anywhere in the world where you have internet access. Know the logistics – Attend an orientation before you go abroad or plan to take the online tutorial and quiz from overseas (see the Campus Interview Program website). While you may be able to apply to Campus Interview Program positions through Crimson Careers if you have registered, it is important that you do not sign up for an interview time unless you will be available in person on the interview date. Contact ocsrec@fas.harvard.edu for information on how to proceed if invited to a campus interview in Crimson Careers. Stay connected – You can still receive the OCS email newsletter, utilize OCS webinars, and login to OCS proprietary databases from abroad. If you will be abroad in the fall semester, opt-in during the previous spring to the Campus Interview Program study-abroad email list for information about employers that have early or specific study-abroad processes. The Campus Interview Program is facilitated using the Crimson Careers online platform. Students are able to manage their campus interview applications and interviews using the same website where they can make advising appointments, RSVP to OCS events, and search other job and internship opportunities posted by outside organizations as well as Harvard Offices and Centers. Below is a brief overview of how to navigate Crimson Careers specifically for the Campus Interview Program. See “Quick Tips for using Crimson Careers” in The Job Search section of this guide for more information. Depending on your search criteria, you most likely will see Campus Interview Program positions side-by-side with all other opportunities. When trying to meet a Campus Interview Program deadline, we recommend using the “Position Type” filter to search “Campus Interview Program – Jobs” or “Campus Interview Program – Internships.” Sort your results by deadline. When clicking through to the full position description, you will see that there is a list of dates and details on the right-hand side of campus interview postings. The interview date, location, application deadline, interview cancellation deadline, and other relevant details are all listed. Most campus interview positions indicate that students should apply by a specified deadline date. Employers will then invite candidates to interview prior to the interview date. Apply by clicking on the job description and submitting the requested documents through Crimson Careers. Your application to these postings in Crimson Careers will show up in the “Campus Interview Applications” section of the “Interviews” tab. Many employers also ask that you submit an application via their website in addition to Crimson Careers. Rarely, campus interview opportunities may indicate that students can apply and interview. This means that the employer is willing to interview students without prior screening. Apply by clicking on the position description and submitting the requested documents through Crimson Careers, and then you will automatically be able to sign up for an interview slot on a first-come, first-served basis. You may view your scheduled interview under the “Scheduled Campus Interviews” section of the “Interviews” tab. Anything listed in the application pop-up screen is required by the employer. If a category of document is not an option in the application window, then the employer did not request it. Example 1: This application requires that the student apply on the company website in addition to Crimson Careers. Example 2: This application requires a resume (with GPA and SAT scores) as well as a cover letter. Invited: If you are invited to an interview with that employer, an email will be sent to you reminding you to sign up for an interview time. 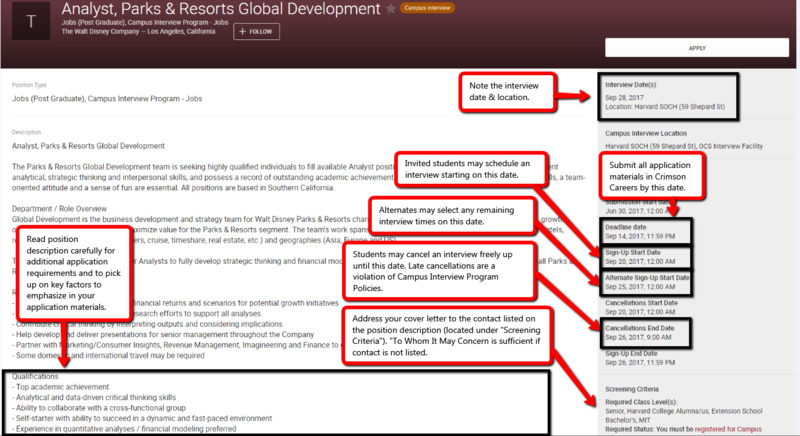 You will also see an alert on your Crimson Careers homepage and the status of that application in the “Campus Interview Applications” section will be changed to “Invited.” You will be able to schedule an interview on the “Sign-up Start Date,” which you can reference by clicking on the position title and looking at the list of dates on the right-hand side. Alternate: If you are accepted as an “Alternate” you will be able to sign up for any remaining interview spots beginning at 12am, 3 days prior to the employer’s campus interview date. Interviews are available to alternates if an invited student declines an interview opportunity. Alternates may sign up on a first-come, first-served basis starting on the “Alternate Sign-up Start Date,” so be sure to check your email and your application status in Crimson Careers to avoid missing an opportunity. The Campus Interview Program office frequently contacts alternates when interview slots become available by email or phone. Make sure that your cell phone number is accurately listed in Crimson Careers and that your voicemail is set up. Not Invited: You have been declined for an interview. You may want to send the employer contact one final follow-up email or phone call to reiterate your interest and qualifications, but this should be done sparingly and with sensitivity. Sign-up Ended: If your status reads "Sign-up ended," this DOES NOT MEAN YOU MISSED AN INTERVIEW. The system automatically registers this status once the sign-up period has ended. When an employer updates your interview status in Crimson Careers, you will be emailed and the Interviews screen will change accordingly. Typically interviews take place between 9:00am-6:00pm, occasionally starting earlier and ending later to accommodate employer demand and student schedules. Interviews will most often last 30 minutes to an hour and take place at the OCS Interview Facility located on the lower level of the Harvard SOCH (59 Shepard St). Due to high volume, interviews may also take place at the OCS Main Office at 54 Dunster Street. However, there are exceptions to all these criteria. 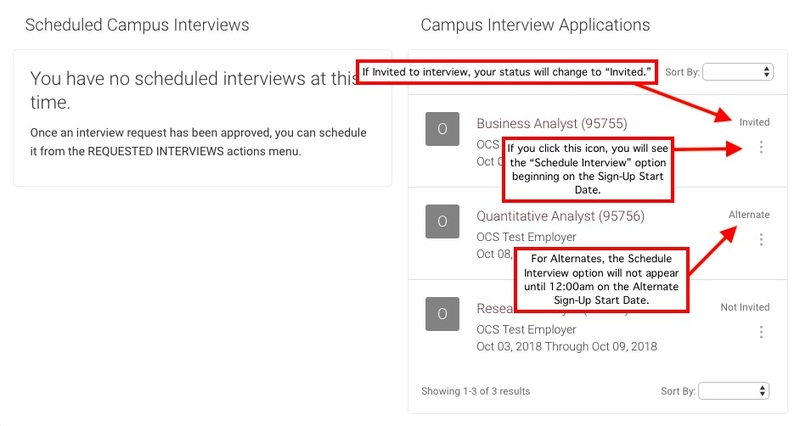 You have a responsibility to attend every interview listed under your “Scheduled Campus Interviews” in Crimson Careers, to examine your schedule for conflicting interviews, and to check your @college or @fas email account for any updates or changes. Some positions may list “Posting-Only” as the location. This means that the employer will arrange interviews directly with students, and the interview will take place at an off-campus location and will not be scheduled through Crimson Careers. Some employers who are unable to travel to campus to conduct first-round interviews, especially those based outside of the New England area, utilize this option. These employers will still be on campus for at least one recruiting event, like the Business & Technology Fair or Networking Nights. To change your interview time, navigate to the “Reschedule” option, and you will see the interview times that are available. Interviews are available on a first-come, first-served basis, so it is in your best interest to sign-up as soon as possible. 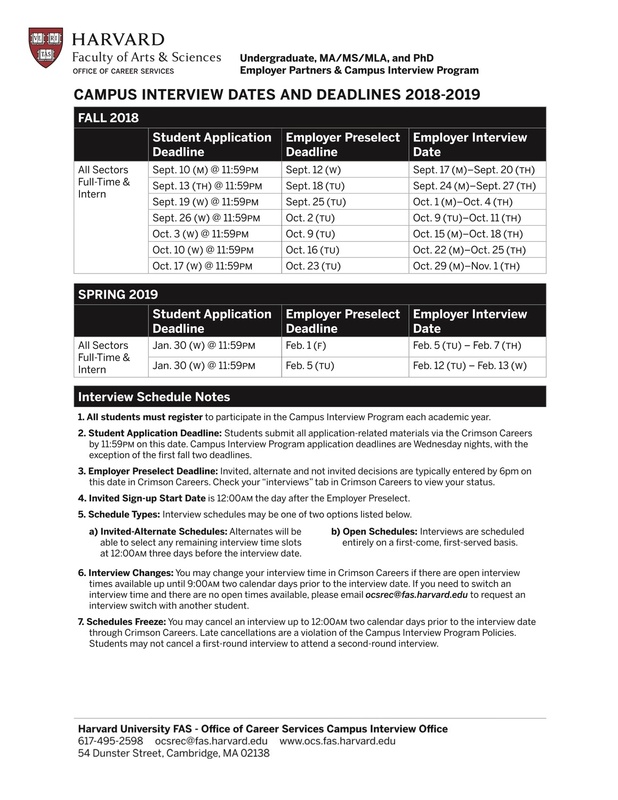 If there are no remaining interview slots that work with your schedule and you would like to see if there is anyone willing to switch timeslots with you, please contact the Campus Interview Program office by emailing ocsrec@fas.harvard.edu for the list of other students on your interview schedule. If you have tried to switch timeslots and there are no times that work with your schedule, you may need to contact the employer and/or recruiter using the contact information on Crimson Careers to ask for their advice. Understand that you will most likely need to share information about your time conflict. Employers have spent a great deal of time and money scheduling their campus interview date and are under no obligation to reschedule a first round interview. Second round interviews are not a legitimate reason to reschedule the first round interview (See Second Round Interview Policy). Please contact the Campus Interview Program office at ocsrec@fas.harvard.edu if you have more detailed questions. Please check your schedule carefully to avoid conflicts. If you need to change your interview time or cancel an interview, you may do so using Crimson Careers as long as it is prior to 9:00am two calendar days before your interview date. If you must cancel your interview after that time, whether due to illness or an emergency, please contact the Campus Interview Office immediately so an alternate can have the opportunity to interview. Cancelling an interview with less than two days’ notice for a non-health related reason may result in restricted access to the Campus Interview Program. Students are not allowed to cancel a first round interview for a second or final round interview. See the Second Round Interview Policy for more details. Not showing up for an interview is extremely disrespectful of an employer’s time, denies other Harvard candidates the opportunity to interview, and jeopardizes Harvard’s positive relationship with employers. We take this offense very seriously, and will put a hold on your Crimson Careers account and prohibit you from applying to or signing up for any further campus interviews until you meet with the Director of the Campus Interview Program. A letter of explanation and apology to the recruiter involved must be written before reinstatement in the program. Failure to comply with the No Show Policy may result in your removal from the Campus Interview Program. In case of an emergency, explain your situation to someone in the Campus Interview Office as soon as possible (ocsrec@fas.harvard.edu, 617-495-2598). Employers and students must both follow the guidelines listed below when arranging off-campus and second round interviews. Every effort should be made to accommodate students’ class and first round interview schedules. Students are not permitted to cancel a first round interview to attend a second round. Employers are not obligated to reschedule first round interview dates. First round interviews are scheduled by the employer months in advanced and listed on the position descriptions from the time of application. However, employers are required to give students one or more alternate dates if students have a conflict with their second-round interview date. Employers may not host off-campus or 2nd round interviews outside of Harvard Square between September 17-20 and September 24-27. Employers must give students 72-hour notice to interview outside of Harvard Square. If you are having any problems scheduling off-campus and second round interviews, please contact the Campus Interview Office for advice at ocsrec@fas.harvard.edu or 617-495-2598. The employer does not indicate that they want a cover letter, should I attach one anyway? For campus interview opportunities each employer has individual specifications and needs, so demonstrate your ability to pay attention to details and follow instructions by providing exactly the documents requested, no more and no less. Can employers see the saved document names? Yes! Be careful to name your documents carefully. For example, you do not want to send a document called “Consulting Letter” to a non-profit organization! How do I attach my GPA or SAT scores? If an employer requests GPA and/or SAT scores, simply include them in your resume. A separate document is not necessary. Note: Employers may wish to check the accuracy of these figures before formally hiring you by requesting an official transcript and/or reports from the relevant testing service. Do I need an official copy of my transcript? No! You may use your “Unofficial Transcript” in lieu of your official transcript. Note: you are on your honor to supply accurate transcript information to employers and must use your official transcript or Unofficial Transcript only. Misrepresenting your Harvard transcript is an Honor Council/Ad Board offense. Why is the employer asking me to apply on their website in addition to Crimson Careers? Some employers, whether for legal or tracking purposes, require students to also complete applications through the organization’s website. If an online application is required, the employer’s web address will be given, and you must complete BOTH the online application at the company website and the Crimson Careers application to be considered for a campus interview. Be sure to check the entire job posting carefully to see if an employer requires an additional application on their website. Note: if an employer is asking you ALSO to apply through their own organizational website, they may ask you to submit a cover letter (or answer application questions) through their site even if they do not ask for a cover letter via Crimson Careers. Remember, the Campus Interview Program is highly competitive- take advantage of all of the resources and advice outlined in this Guide for meeting people, resume/cover letters, and interviews. Prioritize the offers you have received and those you are still working on. For post-grad: starting graduate school or accepting a fellowship that will allow you to travel and/or study abroad for a year or two. Think about when it is appropriate to negotiate, what is negotiable, and how to negotiate effectively. Say thank you – Many employers will give an initial offer over the phone. Show gratitude that you were selected among many candidates and express your continued and sincere interest in the position. Key point: you don’t have to answer right away! Ask to get your offer in writing – To thoroughly consider an offer and compare it to others, you need to have the details. Request the offer in writing when discussing the position over the phone. Any employer should be able to email or mail official documentation to you. The written offer should include details such as start date and salary but may not include all information. Negotiating for more time – Once you have all of the offer details, you may feel that you need more time than originally given to make an informed decision. It is important to determine for yourself how much time you need before asking the organization. We recommend having a conversation over the phone (or Skype) to ask for more time – not asking via email. Reiterate your interest in the role, and explain how much time you think you need to make a decision. Always end the conversation on a positive note by thanking them for their time. Keep in touch – Even if you need time to make a decision, it is essential to keep in touch with the employer. Make sure to return phone calls and emails from the employer in a timely manner. It is reasonable for them to check in and see where you are in your decision-making process, but if you feel like they are contacting you too frequently, you can be proactive and suggest the date for your next conversation. Then you can also plan to ask questions that will help you make the right decision. Be an ACTIVE decision-maker – To make an effective decision, you may need to speak with other people at the organization, negotiate some details of the offer, consult friends and family, and/or do some self- and career-assessment regarding your current and future goals. While you should be given time to make a thoughtful decision, you also have a responsibility to use your time wisely and not wait until the last minute. This is a great time to stop by OCS drop-ins or to schedule an appointment with an adviser to talk through your options. Pay attention to your own lives and what you want them to be. Look and find what you love, whether it's medicine or volcanology, stand-up comedy or finance. Don't settle for Plan B, the safe plan, until you have pursued Plan A, even if it might require a miracle. This is what I call The Parking Space Theory of Life — and I tell it to students every year. Don't park six blocks away from your destination because you've spotted an easy space along the way, and are afraid you won't find a closer one. Pay attention to where you think you want to be. You can always circle back to where you have to be. Where do I see myself every day this summer or for the next couple of years after graduation? What skills do I want to use? What skills do I want to gain? What do I think will make me happy? The goal is to reach a decision that is consistent with who you are and what you value, while also finding a place where you can develop skills and reality-test your interests. This is true whether you are comparing internships, jobs, graduate and study programs, or travel and fellowships. The decision to accept an offer is a personal one and often involves talking to lots of people, weighing the facts, following your instincts, and in some cases, taking a leap of faith. What are the potential paths that could follow after accepting the position? Are there growth opportunities? What will I learn from this opportunity? Where could those skills and experiences take me in the future? Do I like and respect my potential coworkers? Do I feel comfortable with the culture of the organization? Do people seem happy working there? Will I have the opportunity to meet new people in the field and expand my network of professional connections? Am I happy with the geographic location, in terms of cost of living, climate, proximity to family, and opportunities for social life or cultural activities? Does this opportunity align with my other priorities… work/life balance, time off, etc.? As you are making this immediate career decision, think about where it will lead you. While this may well be your first internship or full-time job, it most certainly will not be your last. OCS often refers to the first job as “Next Steps” because you will likely change jobs and even careers as you develop new skills and reality-test your interests. Many people stay in their first jobs for two years. It will take time for you to gain both the quantity and quality of experience to use as leverage for your next step. Accept Your Offer – You can accept an offer with an employer over the phone, but be sure to follow any instructions that they provide via email or mail. There is often a fair amount of paperwork that takes place to make you an official employee of the organization. Once you accept, STOP LOOKING! Never accept an offer and continue looking for additional opportunities. This is considered an egregious breach of ethics and can seriously harm your reputation in your chosen field as well as Harvard’s reputation with that employer. It is not unheard of for an employer to rescind an offer if they find out that you have already accepted one from another organization. Keep in mind that people within fields usually know one another and often compare notes. If an opportunity has come along that you would like to pursue after you have accepted an offer, contact an OCS adviser for help navigating the situation. While some employers may not want to go forward with a potentially unhappy employee, be prepared for them to ask that you honor the commitment you have made. Decline Offers – When you know you are no longer interested in an offer, withdraw from the applicant pool or decline the offer as soon as possible. Interviewing with or holding onto an offer from an employer that does not interest you wastes both your time and the employer’s, may impact other students who are hoping for that opportunity, and may damage your own professional reputation. You should decline an offer over the phone (not by email or voicemail), and be sure to reiterate your appreciation as you do so. You should also follow up with any person at the organization who you have come to know during the process. Do not leave a voicemail message or send an email to decline an offer. If the contact person is not available, leave a message for them to call you back or use email to schedule a phone call at a specific date and time. Remember, It’s a Small World – In all your interactions with employers, always be polite, professional, and respectful of people’s time. Even if you ultimately decide not to work with a particular organization, you never know when your professional paths may cross again. It is in your best interest to keep the people you meet during the job search process in your network. A strong network is the best job security and vital to your own professional development. Consider connecting on LinkedIn with those who have helped you through the process. You will typically have three summers over the course of your time at Harvard. As first-years and sophomores, many students are considering returning home to previous summer jobs, studying abroad, research, structured programs, volunteering, or internships. While experiences can build upon each other, it can ease the stress of decision-making to remember that no employer ever hires someone for full-time post-grad positions based on their first-year experience. You can use your early summers to explore, knowing you have time to change or hone your interests later in your academic career. Be thoughtful about how much time you realistically need, knowing that it is unlikely you will be able to explore every option before making a decision. When talking to the employer, reiterate your excitement and interest in the position, and ask if it would be possible to have more time to make an informed decision. Be prepared to explain how much time you need, and know that you may need to be flexible with this timeline. Regardless of what they say, thank them for considering the request, reiterate your interest in the role, and let them know that you will be in touch soon with a decision. Remember that while the stakes are not always as high with internships as with full-time offers, this is an important time to explore your interests, and you want to make a thoughtful and informed decision. In addition, there will be many employers hoping to hire you for post-grad opportunities as a senior, so you will have another opportunity to pivot and explore if your junior summer experience was not what you expected or did not result in a full-time offer. If you need help navigating this conversation, or if an employer or organization is not willing to give you more time, come in and talk with an OCS Adviser for guidance during drop-ins or by scheduling an appointment. Don’t delay! There is no reason to drag out the process if you have received an offer that meets your needs and expectations. Examine the details of the written offer, clarify or negotiate if necessary, and accept in a timely manner. Before you accept, wrap up any existing interview commitments. After you accept, be sure to decline any other outstanding offers. Even if you are unsure which option is best, do not wait until you have all possible offers in hand to start making decisions. Actively evaluate options against each other and your ideal, and do not hold more than two or three offers at a time. Declining offers in a timely manner helps you maintain good relationships with employers, even if you decide not to work for them. It is respectful of their time and allows them to make an offer to someone else. 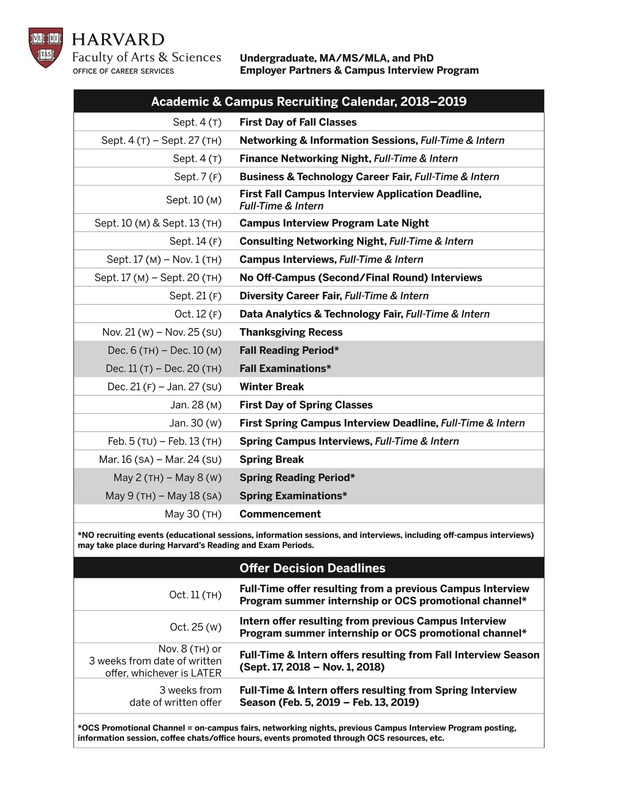 If the offer is from an organization participating in the Campus Interview Program, a set timeline applies. Outside of this program, it is acceptable to ask an employer for more time to make a decision on an offer, but don’t do so unprepared. Have a realistic sense of how much time you need and always express appreciation and enthusiasm for the existing offer. If you are granted more time, be sure to call the other employer that interests you and let them know you have another offer. If they really want to hire you, they may be able to speed up the process. Also be prepared for what you will do if the employer does not give you more time. Once you have accepted an offer, you have given a good-faith commitment to honor it. Reneging on an offer is a breach of your agreement and can jeopardize your professional reputation. If you are convinced that you would not be happy with the offer you have accepted, stop by OCS drop-in hours or make an appointment with an OCS adviser to discuss your options before contacting the employer. Remember to consult an OCS adviser for guidance, whether you are in the midst of any of the scenarios above or experiencing a unique situation. While compensation shouldn’t be the sole focus of your analysis, it is an essential component of any job or internship decision. Keep in mind that if you are looking at more than one type of opportunity, you may be looking at very different sets of numbers. One cannot compare, for instance, an entry-level position in publishing with one in consulting. The starting salaries are simply too different, but each may teach you a lot and lead to other interesting opportunities. Sometimes employers ask for your “salary requirements” or “expected salary” as part of the application or interview process. Organizations typically do so to avoid spending time on a candidate that they will not be able to afford to hire. For example, if someone applies to a position but indicates a salary $20,000 above what they have budgeted for the position, the employer may assume that the candidate is overqualified or mismatched for the opportunity. However, this often puts students and candidates in a tricky position because you don’t want to undersell the value of your skills or end up underpaid for your work. When asked for your required salary, the best thing to do is try to avoid giving a discrete answer. If asked as part of an online application, try to skip the question. If asked in person, try a neutral statement like, “I’ll consider any reasonable offer.” If you must give an answer, try to give a salary range rather than a specific salary and base that range on research you conducted. Remember, just because you share an expected salary figure, it does not mean you cannot try to negotiate once an offer is made. Your time to negotiate is after you have received a formal offer but before you make a verbal or written commitment. Think carefully before negotiating an offer and actively seek outside benchmarks and guidance from industry research, your personal and professional network, and resources at OCS. If you do negotiate the salary offer, be sure to research and prepare to discuss a salary range that would be acceptable to you. Competitive organizations typically offer a set package that is identical to those offered to all new hires. Unless you offer something significant in terms of additional, relevant education or experience over and above others receiving an offer, it is unlikely that you will be able to negotiate additional monetary compensation. However, there are several aspects of your offer or decision timeline that you may want to negotiate instead or in addition to salary. If you do decide to negotiate, plan to have the conversation over the phone. Have notes in front of you, and try practicing beforehand with a friend, parent, or OCS adviser. Never wait until the last minute to negotiate. Research the industry to best represent yourself during negotiation. Never misrepresent yourself or a competing offer in any way. Get advice from recent alums, professionals in the field, OCS advisers, and family members. Never negotiate over email (some exceptions for negotiating across time zones). Listen carefully for tone of voice and other cues that will help you navigate the negotiation. Behave professionally. Know what your deal-making and deal-breaking factors are ahead of time. When you ultimately come to a conclusion, it is important to remember that it is a small world. The opportunity you don’t take today may well be right for you in a few years. Being as gracious when declining an offer as you are when accepting one can go a long way toward building a network of contacts that will stay with you for a lifetime. In the end, only you can decide whether or not a job is right for you. Employers that recruit on campus through the Campus Interview Program or other activities such as networking and information sessions tend to have a long waitlist of interested candidates and are eager to hear back from students regarding job and internship offers. Like other offers, the first step is to say thank you and ask for more details in writing. These offers tend to be extended well in advance of potential start dates, and it is reasonable to take time to make an informed decision. Keep in mind that it also takes work to manage an offer, and it is usually in students’ best interest to make a decision in as timely a manner as possible. Connect with an OCS adviser during drop-ins or a scheduled appointment for advice on managing and evaluating your offer or email the Campus Interview Program via ocsrec@fas.harvard.edu if you have a time-sensitive concern. In order for students to make effective decisions, they must explore as many of the options open to them as possible. At the same time, students are expected to be active decision makers, avoid waiting until the last minute, and honor commitments and agreements that they make during the recruiting process. All employers participating in the Campus Interview Program as well as employers who utilize OCS promotional channels (including fairs, networking and information sessions, coffee chat/office hours, etc.) agree to follow the timetable below. Note that few schools have offer policies, and you will likely need to advocate for yourself by (gently) bringing up the Harvard decision timeline. No Exploding Offers. We expect employers to honor all offers made to students. Exploding offers are prohibited and refer to any condition that places undue pressure on the student to accept early (e.g., "We have 10 offers outstanding for 8 openings and will accept the first 8 students who get back to us," or “We will extend an offer if you agree to accept today,” etc.). Students should always insist on receiving offers in writing. Please examine the contract you sign very carefully. Students who renege on offers after both parties have signed may be denied future access to the Campus Interview Program. Reneging on a Job Offer is considered an egregious breach of ethics and may damage your professional reputation. Students who renege on a job offer will have their Crimson Careers account blocked immediately and will have to meet with the Director of the Campus Interview Program. If an opportunity has come along that you would like to pursue after you have accepted a job offer, consult OCS to discuss how you might approach the situation. It may seem counter-intuitive, but at graduation your learning has just begun! “What do I want to do with my life?” is a question people continue to reflect on across their lifespan. Over time the people you meet and the experiences you have will help refine your thoughts about this question. One of the goals of a Liberal Arts and Sciences education is to help you begin the answer-seeking process in the rich pool of resources that universities have amassed for you to learn from. However, you will need to develop new skills and acquire new information continually to be successful in a changing world. After graduation the rules change for measuring success, and this can be a difficult transition. For most Harvard students, high school success came from following an approved script of achievement in areas like grades, athletics, extracurriculars, standardized tests, and other measurable activities where the goals and standards were pretty straightforward. After college, however, there is no one-size-fits-all approved script for success. Instead, there are thousands of pathways in many directions with a multitude of different opportunities and definitions of success. The first few years out of college can be like driving on a road in the fog. You can’t really see where you are going, but by looking ahead at the part of the road you can see in the headlights you still manage to reach your destination. Each person is responsible for designing their pathway and figuring out where their skill set is best applied. Beginning to think about an individualized path is not as hard as it sounds, since there are plenty of road maps and people willing to help and give advice. The hardest part is learning how to make decisions about your next steps while you are still trying to decide what the path might look like. You may also want to think about selecting a “Board of Advisors” to help you consider these questions and make intelligent decisions about what to pursue next. Many students seek out family, friends with similar interests, College faculty and administrators, career services advisers, alumni, employers and others with “insider knowledge” of what they are thinking of doing to advise them along their path. The more you talk openly with people about the pros and cons of different choices, the more informed your decision making will be. Also take advantage of all the experts who come to campus to speak and gather their advice. Where will I learn interesting skills and information? Where will I meet interesting people? What part of the world do I want to be in? What might this experience lead to? Do I need or want to be close to any particular friends or family at this point in time? Try not to worry too much about what you do next as long as it exposes you to interesting people, knowledge, skills and future pathways. Across time you will need to accumulate many experiences, skills, and expertise in an area to be truly effective. 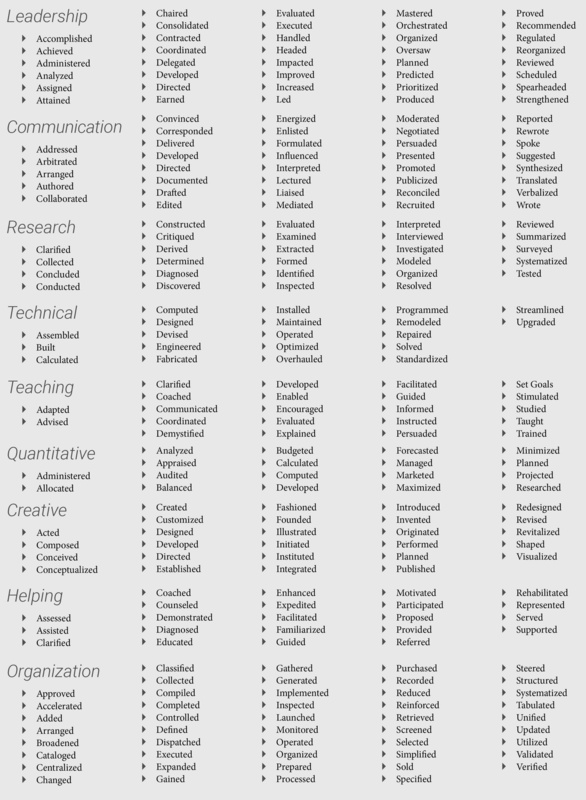 The order in which you learn these skills and add them to your growing tool kit is not usually a critical factor. In fact, bringing knowledge and connections from disparate fields and different sectors, such as private for-profit, nonprofit, and public sectors, often leads to novel solutions to problems. Once you embark on your first post-graduate experience, continue to test your hypothesis: collect feedback and data by checking in with yourself periodically to reflect and evaluate how the experience is going. Are you still learning, meeting interesting people and moving forward in a positive direction? Trust your gut feelings. When you have stopped learning and growing in an experience or if you feel bored, this is feedback that it is time to start thinking about what you may want to do next. Ask yourself, is it time to go back to graduate or professional school, or time to change jobs? Following this approach over time will allow you to grow and change across many different experiences. What if you discover you really don’t like what you selected, the experience isn’t what you expected, or you think you made a mistake? Just like an experiment where the result is negative, you will have learned a tremendous amount about what variables matter. Learning what you don’t like to do is as important as learning what you do like. A “mistake” is a window of clarity. All of a sudden the fog lifts on the road in front of you and you see which fork you did not want to take. This is a gift to you since it is better to learn these lessons early in life rather than later. Remember you will have a long life of getting to know yourself and the world you live in, and you will be in a continual state of learning, changing, and developing. Life is about the choices you make along the road, the twists and turns you take, the stops and starts, the planned and unplanned experiences. Through experimentation, choice, and reflection, you will build and follow a path that is right for you. The Office of Career Services looks forward to helping you with your plans and journey. Even if graduate or professional school is not your immediate next step, it might be something you are considering for later. 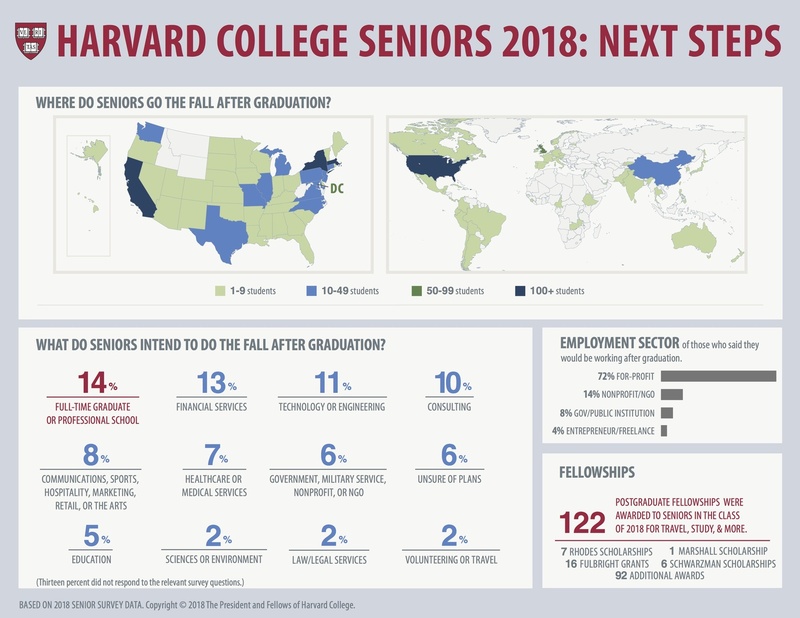 According to the most recent alumni survey, 83% of Harvard College graduates eventually will pursue an advanced degree. Many students take one or more gap years prior to attending graduate or professional school. You can take steps to prepare before you leave campus, such as obtaining letters of recommendation from faculty, and consider taking standardized tests prior to or soon after graduation while the information is fresh. Check in with house tutors and OCS advisers, especially if you are considering medical school, to make sure you meet requirements and are aware of the application timelines. Coming to Harvard, I had no idea what I wanted to do after I graduated. Each summer, I took my internships as an opportunity to learn what I liked and didn’t like. I tried campaigns, legal services, and academic research, but none of them really felt right for me to pursue as a career. 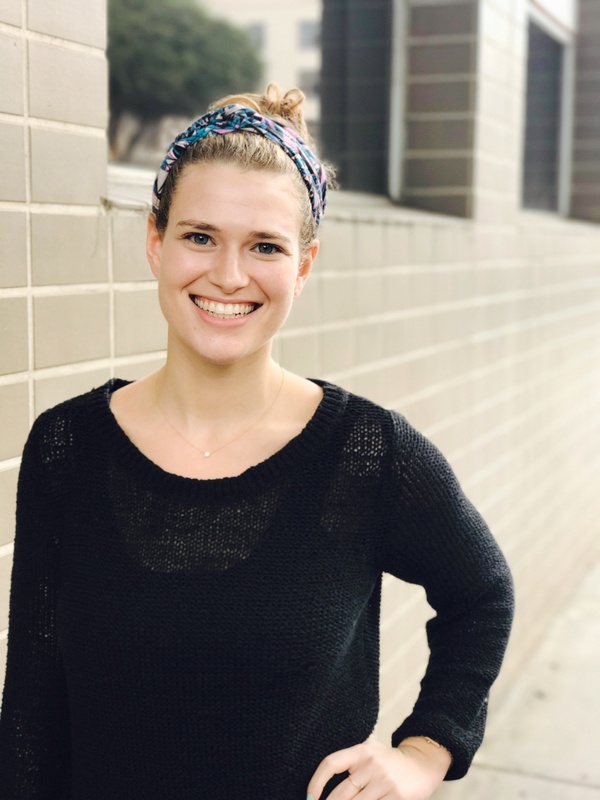 My summer going into my senior year I worked with a survey scientist at one of the Boston-area hospitals, and from that experience I learned that I loved working with data, but I didn’t really want to be in the healthcare space. When I started my job search at the beginning of senior year I thought that given my love of working with data, market research might be a good fit for me. I explored many of the big research firms and talked to alums in the industry, but I had some qualms – client engagement seemed minimal and the environment wasn’t high energy enough for me. Then, at an OCS event in the fall, I ended up meeting a recruiter from Arnold Worldwide, an advertising agency headquartered in Boston. I hadn’t really considered working at an agency, but the recruiter told me about Arnold’s Business Strategy department, a data-driven and strategic function at the agency that plays the role of identifying business problems and market opportunities that feed into the creative process. That really piqued my interest. After learning more about agency culture and how Arnold embraces creativity in all of their employees, not just those who work in creative, I was totally sold. As someone who has always had creative passion projects outside of school and work, whether it be film, photography, or food blogging, working for a company that would embrace that rather than find it irrelevant was a real selling point for me. One of the best parts is that my schedule week-to-week changes so much that the work never gets boring. I ended up taking a job as a Business Strategy analyst at Arnold, and I’ve loved it. One of the best parts is that my schedule week-to-week changes so much that the work never gets boring – our team works across almost all of Arnold’s client portfolio, which includes brands like Progressive, Hershey’s, Santander, Jergens, Sanofi, and more. Regardless of the specific task, we’re always helping companies think about how they can reach consumers in unique and effective ways; in an industry that has experienced so much change and continues to evolve rapidly, that’s an exciting challenge to tackle. Another really exhilarating part of my job has been new business pitches to prospective clients. This process is super fast-paced and tight knit. Over the course of only a few weeks, we learn everything we can about a potential new client. My team’s role in the process is to field quantitative and qualitative research, analyze data, and talk to experts to learn as much as we can about the company, their customers, the industry, and their business opportunities. This feeds into the development of creative work that is eventually pitched to the client. From start to finish, it’s an exciting process to be a part of. After two years at Arnold, I have decided to try out another pursuit. I am thankful for the opportunity I had to keep learning and growing at an agency that values creativity and strategic thinking and is committed to evolving in the ever-changing advertising industry. Located in the warm arms of the Dominican Republic, amidst the verdant rice fields lies my colorful batey community. A batey is historically associated with sugarcane production and primarily Haitian male laborers. However, over time both Dominicans and Haitians alike formed established families in these communities and have been living in them for generations. A hodgepodge of different languages, nationalities, and colorful houses come together to create a community of hopeful change makers to create a more equitable community for Dominicans and Dominicans-of-Haitian descent. I decided to join Peace Corps to focus on my personal growth. Coming from performance-driven American culture, I wanted to learn about a different lifestyle where my worth was not tied to job or academic performance. I wanted to learn how to appreciate and take the time for the people around me. Throughout my life, I have engaged in public service as a manner of giving back for the many blessings that have been bestowed upon me. Joining the Peace Corps was an extension of my passion for public service that has been fomenting throughout my life. Ironically, instead of giving back, I find that I am getting more than I ever imagined through this service. I did not expect to discover just how limited my worldview actually was! Upon reflection, I see that before coming to Peace Corps I was like a horse with blinders on. Living in a batey everyday has forced me to open my worldview to see the perception of Americans in the Caribbean, methods of survival and coping, and most importantly, I finally learned to see myself with a forgiving, and not critical, eye. In fact, the biggest challenge I have had to overcome is actually with myself. I have had to learn how to forgive myself for making mistakes, to understand that this is a normal part of learning and growing up. 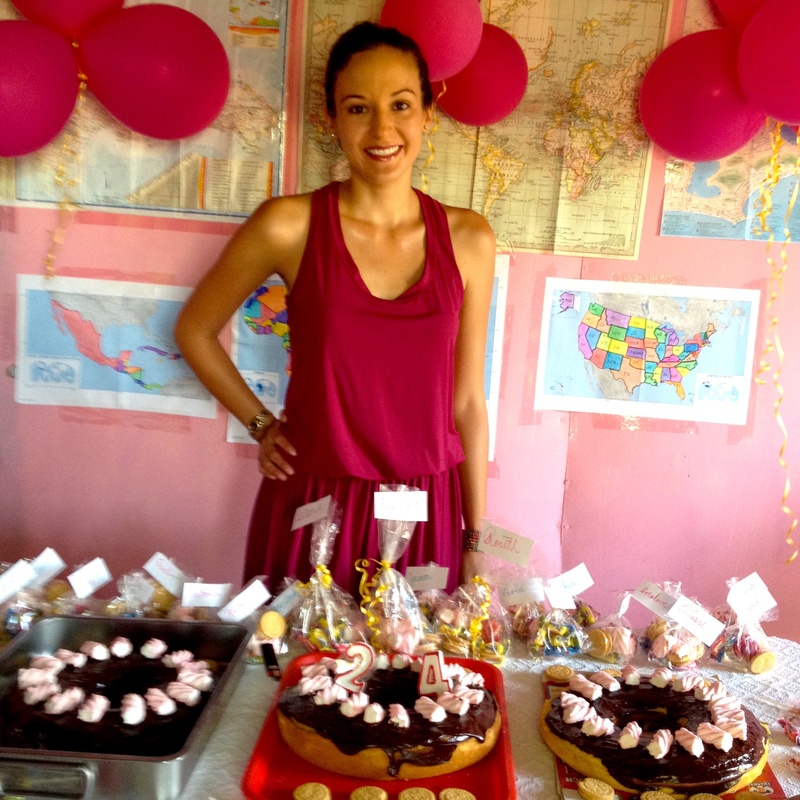 Joining the Peace Corps was an extension of my passion for public service that has been fomenting throughout my life. My main project is to train teachers in literacy methods and reading strategies. Together, we co-teach and co-plan classes in first, second, and third grades to ensure more student participation and engagement. Furthermore, I am responsible for creating a pipeline of communication between the public school, the international non-profit, and Peace Corps to work towards creating more streamlined and efficient community projects. Though these are my main projects, in my 18 months of service I have also been fortunate enough to: become fluent in Haitian Creole, graduate a group of 11 adolescent girls from a female empowerment group, plan a trip for 20 girls to visit the Dominican-Haitian border, and teach batey children formal Haitian Creole alongside respected community members. If you are looking to find yourself, reflect upon your life experiences, leave your mark upon the world, or simply looking for something you cannot yet name then perhaps joining the Peace Corps could be the right step for you. I urge you to think about what are your goals for your public service experience and assess whether joining the Peace Corps could further those goals. At least in my experience, Peace Corps service seems to be centered upon integrating with your community members and never forgetting that you represent something much bigger than yourself and as a result, you have to balance being on your best behavior while letting your true self come through. It is certainly a tall order to fulfill, but you learn so much about yourself and the world throughout this process. The opportunity to widen your world-view is unparalleled. There is no study abroad, English teaching program, or gap-year initiative that will give you the same opportunity to observe, understand, and compare the intimate workings of a foreign culture and language to your own, familiar yet possibly fallacious ideas. I started at Harvard in 2010, wanting to do something at the intersection of Mathematics and Economics, being swept up in the craze of people graduating and working in some sort of quantitative finance role. 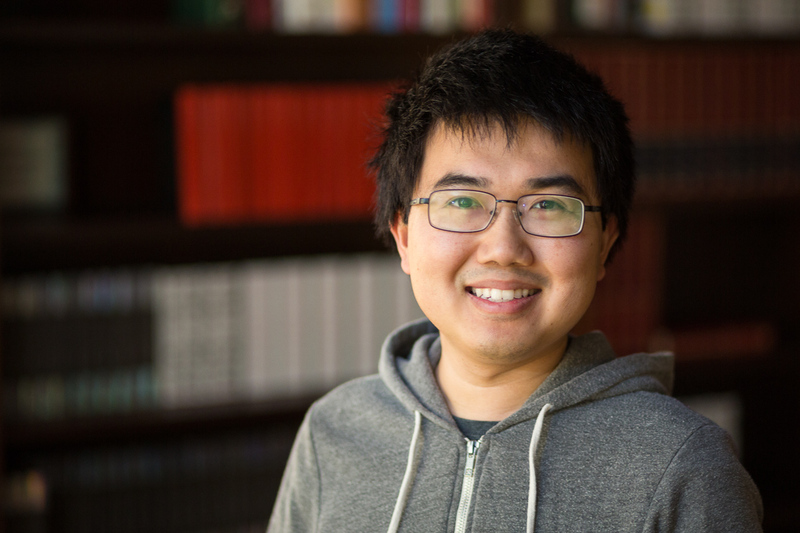 However, I ended up concentrating in statistics and now currently work as a data science manager at Quora, analyzing data to help Quora make better product decisions. Switching from a mathematics concentrator to a statistics concentrator might not sound like a big shift, but they definitely felt like two different fields to me. 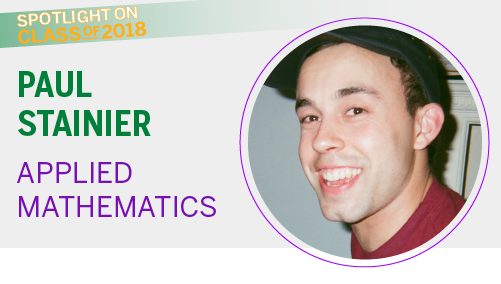 After taking both mathematics and statistics courses in college, the divergence became more clear: math was about proofs and abstract concepts, where statistics was grounded in applications and problem-solving. Statistics was much more aligned with the reasons I wanted to concentrate in mathematics in the first place. There was one statistics class that was particularly transformative for me: Stat 110 under Professor Joe Blitzstein. I was most impressed by Professor Blitzstein's approach to teaching: emphasizing understanding of concepts through intuitive explanations rather than algebraic proofs. His problem sets rewarded elegant solutions and understanding through “stories”. I was invited back to become a TF for that class, and I discovered that this “storytelling” approach was how I preferred sharing knowledge as well. 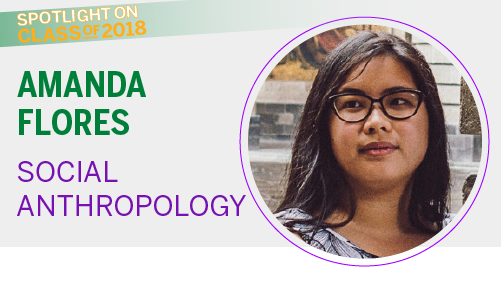 After my freshman year, I didn't exactly know what I wanted to do after graduation, I just knew that I liked statistics and would love to do something in the space. I ended up doing two internships I found through OCS, the first at Etsy and the second at Quora. Both involved analyzing data for a consumer internet company. I found a unique passion and interest for this growing field. Consumer internet companies (like Etsy and Quora) naturally collect plenty of data, and statistically-minded individuals can contribute unique value by helping the company make better product and business decisions. 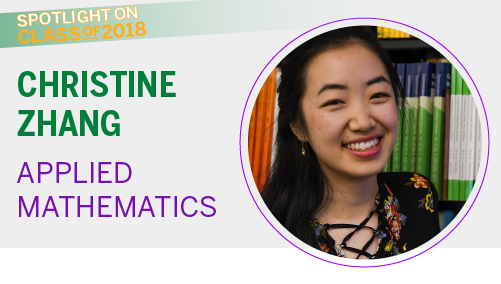 After my freshman year, I didn't exactly know what I wanted to do after graduation, I just knew that I liked statistics and would love to do something in the space. After doing those two internships and graduating in 2014, I returned back to Quora to work full time. I found that working as a data scientist in product analytics allowed me to become exposed to various interesting problems of applying statistics to messy real-world datasets. These problems include: How do we do experimentation and analysis when our dataset can have large outliers? Will this significance test on percentiles run quickly enough and be accurate enough using our data? What's the best way to present A/B testing results to emphasize both the practical impact and the statistical significance? Working with metrics also exposed me to interesting problems around how to best evaluate tradeoffs and make product decisions that can help increase overall usage. These problems include: How do we balance being able to send notifications that engage users, while also not inundating them with useless prompts? How do we figure out if there are network effects in an experiment that will diminish the eventual impact after launch? How do we define an appropriate metric for this product feature that adequately measures user satisfaction without optimizing for the wrong things? The answers to all of these questions can be quite complex, but I've found that the various statistical concepts that I learned at Harvard and through various internships have been a huge help. In general, product analytics and data science are promising and expanding fields, especially with the continual rise of new consumer internet products that collect massive amounts of data. I particularly recommend them for anyone with an interest in learning via analyzing data and in the unique dynamics of consumer internet products. Since product analytics at its heart is focused on helping a company make the best product decisions with data, this job is here to stay and I don't think will be automated away anytime soon. Some of you might empathize: come senior year, I was pretty confused about what to do after graduating. It wasn’t that I didn’t know what kind of job I wanted after graduating. I actually knew exactly what I wanted: I wanted to work in a fast-paced business environment where I could use both creative and analytical skills. 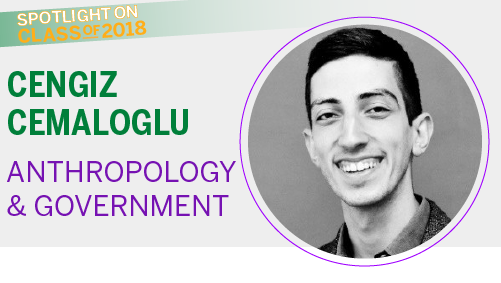 I wanted to wear different hats, and play a role in implementing and seeing through projects—not just doing research or creating strategic recommendations. If possible, I wanted a global career; a passion for learning about globalization and modernization in different cultural contexts had driven me to concentrate in Social Studies, which took me abroad for ethnographic thesis research. And finally, I wanted to use my skills to further some mission, product, or service that I believed in. The problem was not that I didn’t know what I wanted, but rather, that I didn’t know of a role, or a company, out there that could fulfill these aspirations. Enter EF Education First. The company first caught my eye at an on-campus career fair. Filled with bright, dreamy visuals that boasted beautiful, happy people and gorgeous travel destinations, the EF booth was a beacon of color and inspiration amidst a sea of very corporate banners. I learned that EF was a privately held, for-profit, for-good international travel and education company that offers services to people who want to learn a language, travel abroad, or experience cultural exchange. I was shocked to learn about EF’s tremendous global presence and rapid growth. Employing over 45,000 people worldwide and present in over 100 countries, this was a company of tremendous scale, and the market leader in a booming global industry. But perhaps most importantly, I fell in love with the culture of EF. The people I met were supportive, clever, and passionate about their jobs—here was a company that prided itself on its people and the relationships they formed with each other. Despite its rapid growth and global presence, EF has also been able to maintain a “startup-y” culture, where innovation and scrappiness are encouraged, and the mottos “no job is too small” and “nothing is impossible” are a part of the company’s official values. People were not afraid to try new things and dive right in to make them happen. The company first caught my eye at an on-campus career fair. Eager to be a part of this unique environment, I began my career at EF one year ago in the EF360 Global Management Trainee Program, which pairs recent grads with EF Presidents and sends them around the world to solve challenges and implement various projects. During that year, I worked for an au pair program—a cultural exchange program that brings young international visitors to the U.S. to live with an American host family. Au pairs help care for their host children, and in exchange, explore life-changing travel and educational opportunities in America. 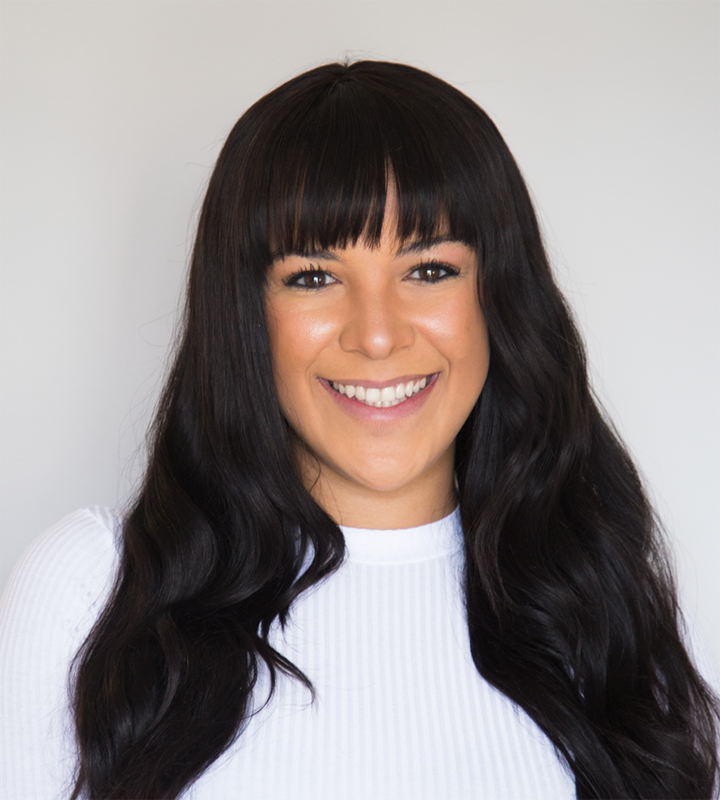 As a 360 trainee, I was lucky to have been involved in a variety of fun projects spanning brand and marketing strategy, creative direction, and customer experience. I conducted qualitative and quantitative customer surveys to better understand how we should position our brand across 26 different countries, helped grow a brand ambassador program to boost program satisfaction and referrals, and even authored and art directed a children’s book about an au pair who touches the lives of an American family, as a soft marketing tool to promote awareness of the program in a fresh and compelling way. Looking back, my time at EF has been a truly unique experience. I’ve been vested with ownership I would never have expected for a job right out of college. I received a hands-on crash course in marketing and branding, in addition to a holistic understanding of the business and its customers. Had I worked at a consulting firm or agency, I would not have gained the same deep knowledge about the company and its customers, which has allowed me to be more thoughtful in the way I innovate and approach business challenges. And of course, the travel—in my first year at EF, I traveled to 6 different countries and 11 different cities around the world. One of the things I appreciate most about EF is that it stays true to its belief in experiential learning through travel, especially when it comes to its own employees. Just as the company has opened a world of possibilities for millions of customers around the world through travel and education, it has also taken me on a journey where I’ve learned invaluable lessons about myself, about business, and about the world at large. As an East Asian Studies concentrator, I had the opportunity to delve into the language, history, and culture of the country my parents were born in. I loved my 9 am Chinese drill sections in Vanserg and my summer as a volunteer at an orphanage in Jiaozuo, China. Overall, I valued my experience in EAS, but decided early on that I was going to enter a field unrelated to what I was studying. I felt that career possibilities were endless and struggled to isolate what it was exactly that I wanted to do. While searching and exploring over the summer after graduation, a friend (and classmate) of mine mentioned that there was an open research position at her company, MTV – owned by Viacom Media Networks. I loved TV, especially having grown up spending summers engrossed in the lives of the characters and stories portrayed on the screen. I would never have thought that TV could be a career path, but I leaped at the opportunity to pursue this long-standing interest of mine. I channeled my vast knowledge of The Hills and Jersey Shore into the interview and eventually moved to New York to start my first job at MTV. I was excited to break into an industry that was often difficult to navigate, especially without prior entertainment experience. My time at MTV gave me incredible insight into our consumers. I designed surveys, conducted focus groups, and analyzed quantitative and qualitative data to discern trends in TV consumption behaviors among our viewers. In my post-graduation years, I have grown decidedly more comfortable with the idea that not everyone's path will be linear. Ten months later, I moved internally at Viacom to my current role on the strategy team within the Content Distribution department. We oversee the affiliate deals to provide our TV channels and shows to cable providers such as Comcast and Time Warner Cable, as well as digital partners such as Netflix and Hulu. I quickly learned the ins and outs of the TV business, which is constantly evolving and shifting. In fact, technology has fundamentally changed the way that TV content is consumed. I still remember recording MTV’s Total Request Live on tape in order to watch and memorize every single Backstreet Boys’ song. Today, we are presented with an ever-growing range of platforms and methods to watch TV – whether that means to record via a DVR, watch on demand, or binge-view on a myriad of mobile devices. In my role, I grapple with the changing TV ecosystem in order to provide strategic recommendations for new distribution channels as well as maximize current business models to ensure long-term revenue growth for the company. Day-to-day work aside, my experience at Viacom has been largely shaped by the relationships that I have with the amazing people that I work with and the incredible support and mentorship of the leaders that I work for. I have grown professionally through the feedback and advice that I have received. I am also fortunate that my co-workers are truly people that I can trust and call my friends. In my post-graduation years, I have grown decidedly more comfortable with the idea that not everyone’s path will be linear. From East Asian Studies concentrator to a manager in an entertainment company, I hope that my career will continue to evolve as I leverage my experiences to hone in on my interests. During my time at Harvard, I was immersed in the liberal arts, studying Latin American history and comparative politics over hours in Widener and CGIS. And, like pretty much everybody at Harvard, I came to know about consulting as talk of the job filtered down through upperclassmen, who shared their experiences with the recruiting process or of their summer internships. 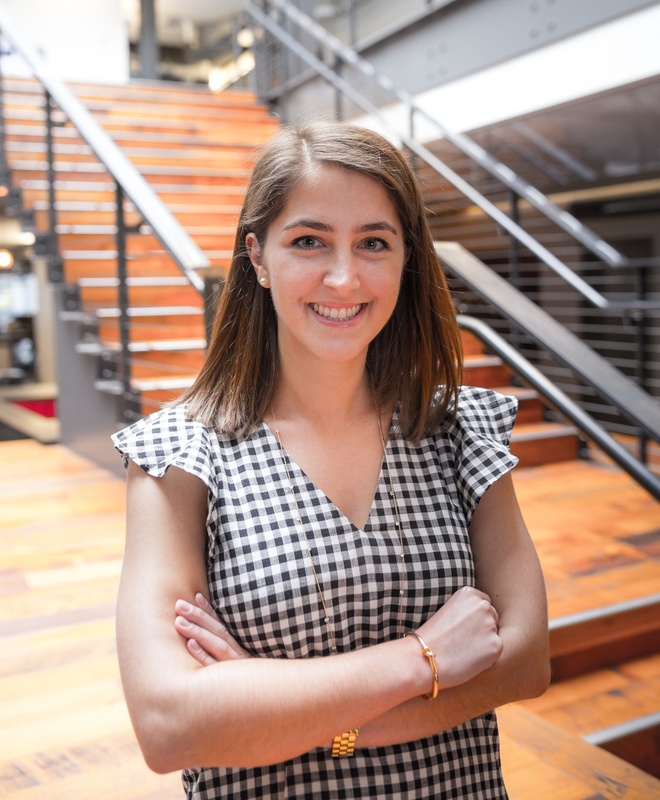 I wasn’t sure which path I would pursue, but I was certain that I wanted to work somewhere that would emulate the fast-paced, immersive, and global environment I loved at Harvard. I wanted a job where I would be constantly challenged and exposed to new experiences. And, reflecting on my time in extracurricular activities and classes at Harvard, I wanted to seek out a career where I could put to use the negotiation, problem-solving, and organizational skills that I enjoyed applying. Ultimately, I decided to join The Boston Consulting Group’s Boston office, because I thought I could do just that at BCG. And so far, I’ve been right. The essence of consulting is problem-solving: we’re tasked with helping our clients achieve a variety of business objectives (or, in the case of our non-profit or government clients, their public-sector objectives). To do that, consultants structure problems, conduct quantitative and qualitative analyses, and collaborate with clients to develop tailored recommendations and solutions. As an Associate at BCG, I have had the opportunity to lead meetings with clients, learn to analyze information and data, and develop strong communication skills and presence. These skills are useful across a variety of industries here at BCG and for any future job that I might pursue. This makes consulting, in my opinion, among the best first jobs available after college. A day in the life of a consultant is different every day, but that’s one of the most exciting aspects of the job. While at BCG, I’ve had the opportunity to explore a wide-ranging set of industries and capabilities in a short period of time, and I’ve loved this exposure. With work spanning across twenty industries and various kinds of projects, the sort of work you can contribute to is practically endless. From writing a “white paper” on the impact of Netflix on media, to enriching a client’s company culture, the work that I’ve done at BCG has allowed me to constantly learn. A day in the life of a consultant is different every day, but that's one of the most exciting aspects of the job. In addition to traditional casework, BCGers also have the opportunity to participate in a number of different programs that promote learning and new experiences. Fellow Associates have served as an American Ambassador in an international office, joined an immersive yearlong social impact program, or worked for clients or other impactful organizations through an externship program. The abundance of options results in a dynamic working environment that is useful for those that are interested in exploring different opportunities. Here at BCG, I’ve been surrounded by some of the brightest, most hard-working and conscientious people I know. We all share a desire to learn and grow professionally, and the fast-paced environment of consulting allows us to do so. The Associate experience is tailored to each person’s unique work interests, travel preferences, and areas they’d like to develop and grow in. Consulting is a great career option for those looking to learn more about business and management. BCG has been a great first job for me thus far! When I graduated from Harvard in 2014, I had no idea what I wanted my career to look like, but I knew three things. First, I knew I was wildly captivated by how I saw innovation altering the ways my generation interacted with our society. Second, I knew that I would never be happy sitting in a cubicle. Third, I knew I’d always found my deepest motivations in social activism and the fight for equality for all groups. So, I swore off cubicle life and set out to immerse myself in social innovation. I spent two years working as an in-house brand strategist, community manager and growth marketer at technology startups in New York and Boston. At each startup, I learned more about the challenges that face every entrepreneur, the impact of a skillfully crafted brand and the importance of building a company culture that employees actually want to be a part of. I was inspired by the innovative thinkers around me and energized by work that I loved, but I was struck by the lack of diversity I saw in the space I’d grown to love so much. Thanks to the eclectic range of experiences I packed into the first two years of my career, I met a handful of creative female professionals who thrived on startup energy but shared my frustration working in an industry that too often lacked diversity and inclusion. One of these women was once the first female employee at a startup and her bosses didn’t even know where the women’s bathroom was when she asked. So we took a leap. We left our well-paying, unlimited vacation days, free lunch and beer-on-tap startup jobs and set out to increase representation in the world of innovation by supporting and working with businesses helmed by the historically underrepresented. And for me, the lesson is this: don't be afraid to leap. I was 24 when I started Six Things and had every reason to doubt myself, but for some reason I chose trust. Three years later, our “startup for startups” has helped dozens of emerging companies and entrepreneurs connect with their most meaningful audiences through thoughtfully branded customer experiences. We’ve grown to work with ventures at all stages, from seed funded startups to Fortune 500 companies, and recently won an American Business Award for Founding Team of the Year. Still, we’re proud to say that while less than three percent of venture funding is awarded to women-owned startups annually, over sixty percent of our client base is comprised of woman-owned businesses. And for me, the lesson is this: don’t be afraid to leap. I was 24 when I started Six Things and had every reason to doubt myself, but for some reason I chose trust. I trusted myself, my intuition and my vision and took a leap. The reality is, startups are messy and entrepreneurship is exhausting on the best days, but still, I challenge you to bet on yourself. Have the courage to demand meaning in your career, and watch your impact multiply. Reflecting back now, four years later, I think I took this proud stance in part because I felt unprepared for and nervous about interviewing for full-time roles. I also didn’t realize that campus recruiting includes a wide range of organizations and that it’s possible to build a social impact career at any company, regardless of size, industry or 501(c)(3) status. Fortunately, a friend reached out to me in October with information about a campus interview opportunity: the rotational Business Leadership Program at LinkedIn. I was intrigued by the company’s vision to create economic opportunity for every member of the global workforce – and, to be honest, was becoming increasingly anxious about my post-graduation prospects as my friends landed job offers. So I decided to interview for the program, and by Thanksgiving I had signed a contract. I joked to friends and family that I was “selling out” by accepting a job at a for-profit tech company, but I committed to seek opportunities to create social change as I began my career in San Francisco. 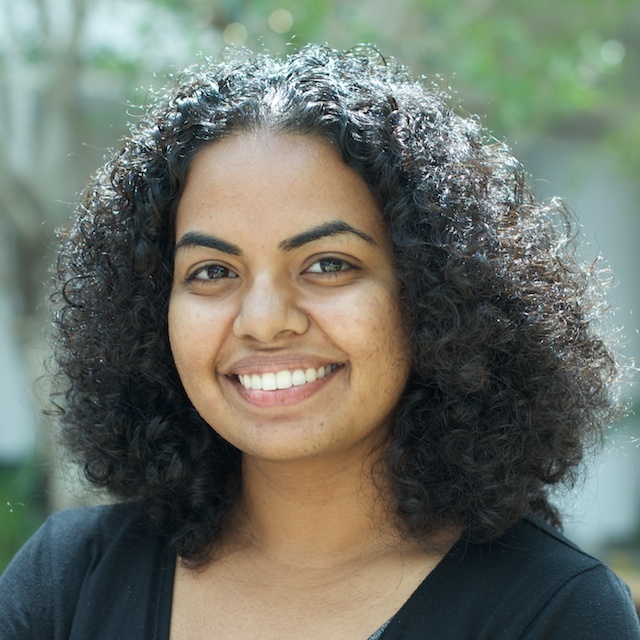 During my first week at the company I learned about LinkedIn’s Social Impact team, LinkedIn for Good (LIFG), which aims to connect under-represented communities to mentors, networks and jobs. I immediately reached out to the team and, over the next three years, volunteered to support their initiatives whenever possible. Like most corporate social responsibility (CSR) organizations, LIFG is a lean team that relies heavily on employee volunteers to manage local programming and ad hoc projects. 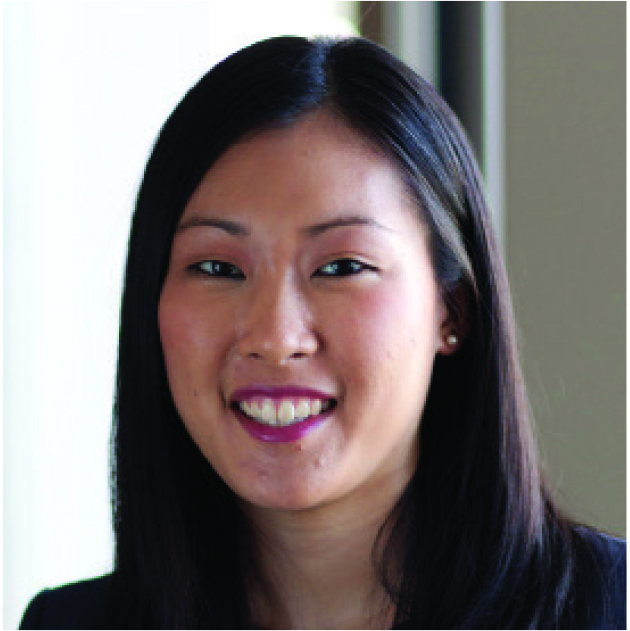 Though my full-time roles throughout this time were in recruiting, customer operations and sales, I became the San Francisco Local Lead for LIFG and worked closely with local workforce development nonprofits to create volunteer opportunities for fellow employees. I developed skills around relationship management and event planning, and connected hundreds of young adults to resources through our programming. When I speak with other young professionals who are interested in the social impact space, I share my journey to demonstrate that you don't have to have a full-time role on a corporate social responsibility team to begin building a social impact career. Last summer, LIFG approached me about a role that was opening up on the team. I interviewed and got the job – largely, I believe, because of the knowledge and relationships I had acquired throughout my three years volunteering. I now manage marketing and member programs for the Social Impact team and I’m grateful for my job every day. It feels surreal that I’m able to leverage LinkedIn’s assets to create opportunity for communities facing barriers -- and get paid while doing so. When I speak with other young professionals who are interested in the social impact space, I share my journey to demonstrate that you don’t have to have a full-time role on a CSR team to begin building a social impact career. Every organization has resources – time, talent, product or money – that can be channeled for good if there are employees willing to take initiative. 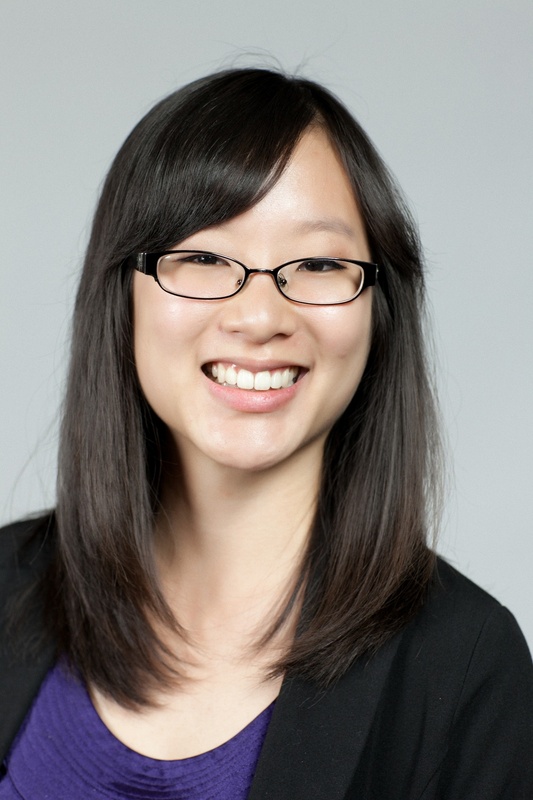 Volunteering to lead my office’s social impact efforts helped me fulfill my passion and develop unique skills (and, of course, ultimately led to a full-time job offer!). In fifth grade, I had my life planned out all the way to the freckles on my future kid’s faces. With the accomplishments of my childhood idol, General Colin Powell, as my azimuth, I created a checklist. Step 1) Attend West Point. Step 2) Become a four star in the Army. Step 3) Marry Amy. Step 4) Take the world by storm, Pinky and the Brain style. Easy day. However, as I am sure you are already greatly aware, life has a way of taking unexpected turns. 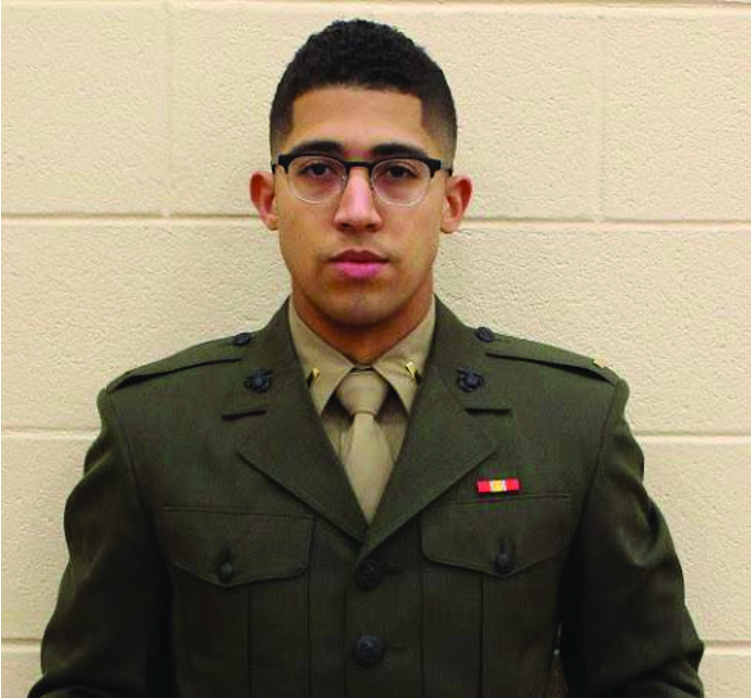 Now, with an engineering degree from Harvard, a second lieutenant-ship in the United States Marine Corps (“the”, as emphasized by my counterparts at the Ohio State University), and having not seen or spoken to Amy since I switched schools after fifth grade, I must say ten year-old Josh Scott (TYOJS) may have been off a smidgen on his fifteen year forecast. Nevertheless, TYOJS would be ecstatic to hear that I did not neglect his childhood dreams of serving in the military. You see, growing up in Hampton, Virginia, the military tends to permeate everything you do. With Langley Air Force Base a stone’s throw away, Newport News Naval Shipyard practically in my backyard, and Norfolk Naval Base right down the road, I undoubtedly hail from a military hub of a hometown. So it is of no surprise to me that my armed forces aspirations, albeit latent in middle and high school, re-ignited upon entering college. The spark? Harvard’s rekindling of its relationship with ROTC in 2011, the fall of which I took my first step onto the Yard. However, anxious about the balance between being a part of a then nascent ROTC consortium and a demanding engineering schedule (doable, with 20/20 hindsight), I uncovered a hidden gem at 495 Summer Street in South Boston: The Marine Corps Officer Selection Team. “Why the Marines? !”, is a question I am frequently asked. “Glutton for punishment, I guess”, is the elevator response which, to me, encapsulates the allure of the mental and physical challenges presented particularly by the USMC. However, answering the broader question of, “Why the military?”, I made my transition from rocking civilian attire to donning the uniform with one sole purpose: serve others. I wanted to begin my life after graduation in a profession that prides itself on putting the needs of those to your left and right above your own. I wanted a lifestyle that mimicked my Harvard experience, where I was blessed with opportunities to push past preconceived notions of my limits. I wanted exposure to an environment that forces you to come face to face with your deficiencies and work to push past them, not for myself, but for those individuals whose well-being I am entrusted. And thus far, I have not been disappointed. I wanted to begin my life after graduation in a profession that prides itself on putting the needs of those to your left and right above your own. Some folks I have encountered have shied away from the military because they believe their creativity or uniqueness will be stifled. Yes, there are certain liberties you knowingly and willingly give up, for there are standards and regulations that must be upheld. In an enterprise whose currency is human lives, those left and right lateral limits exist for a reason. However, if the overarching aim of the institution focuses on placing the needs of the many over those of the individual, is being clean shaven all that bad? Naturally, there are many ways to get your public service fix. However, if you choose the armed forces, regardless of any prior exposure to military influences, the first step is figuring out which branch best suits you and your talents. No matter which you choose, each offer their own unique sets of challenges as well as culture and history. From there, it is all about being honest with yourself about what you are looking for in your military experience, and realizing everyday is not like, Saving Private Ryan. Nonetheless, one item I would happily report to TYOJS is armed with a Harvard education and the incredible training the military has provided, I do indeed believe I can take the world by storm (maybe not Pinky and the Brain style, though). Eason Hahm '12: William Blair &amp; Co. When I came to Harvard, I had never heard of the term “investment banking” and was still confused as to why everyone wanted to recruit for investment banking internships. As a freshman, I knew I wanted to study biomedical engineering and aspired to get my Ph.D after graduating. During my junior year, I was introduced to more of the business side of science through classes and lectures on campus. I was intrigued by the role investors played in the development and commercialization of science that drives technologies from the lab bench to a product. I was much more excited by the business development and strategy behind healthcare companies than the actual science behind the technology. 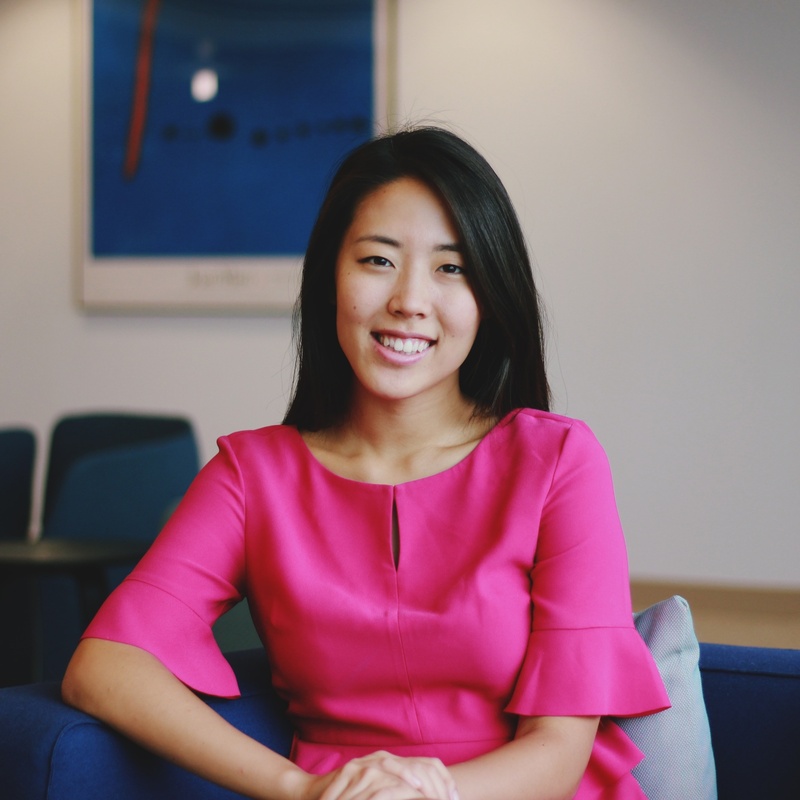 To pursue this, I knew that I wanted to gain financial expertise to complement my science background and went into the senior year recruiting process focused on investment banking positions at firms with strong healthcare verticals. During the recruiting process, William Blair, a Chicago-based investment bank with offices in Boston and San Francisco as well, was at the top of my list because of its small but supportive deal teams, strong healthcare practice, and high degree of deal exposure and responsibility given to analysts. Fortunately, I was given the opportunity to join Blair full-time, and during my four years at Blair, I have spent most of the time working with the medical technology and biotechnology teams, and to even my own surprise, I have had a very rewarding experience. Reflecting on my time at Blair, I have had the opportunity to work on many closed transactions (both M&A and equity offerings). I have realized through these processes that Blair’s strategic advisory services create lasting value and meaningful change for our clients. While the hours can be long, and it can be difficult managing the workload and expectations of multiple projects and pitches, the sense of fulfillment after achieving a great outcome for your client makes all of the late nights seem worth it. One moment in particular that stood out for me was after the close of an IPO when our client’s CEO told us, “Looking to the journey ahead, our challenge, and our objective, is to use these funds to develop important new medicines that save lives.” Not only have I been able to work on fulfilling transactions, but I have also been able to learn in a very fast-paced environment, from honing my valuation and modeling skills to understanding the marketing and diligence processes of M&A transactions. Blair’s philosophy of engaging the analyst at every stage of the deal process has given me a unique opportunity to learn from not only my deal teams, but also from senior bankers at Blair and our clients. In addition, the analyst program allows you to start with a class of your peers, which for me, has created a social and collegiate environment and support system. After 3 years as an analyst, I chose to stay at William Blair and be promoted to Associate. After a year as an Associate, I went on to pursue my MBA at Wharton. While I may not advocate investment banking as a career path for everybody, I strongly believe that being an analyst is a very gratifying experience and a great platform for next steps in your career, whether you want to pursue private equity, corporate development, graduate school, or remain in investment banking. In the fall of my senior year, I was confused. I was an English major halfway through a creative thesis, but I didn't want to be a writer. I wondered about law school, but going to class sounded exhausting. And I had enjoyed my internships (teaching, brand development, one glorious summer at Google), but I couldn't quite shake the feeling in each of those places that I wasn't in the right place – that I wasn't making a real impact. So I did the only thing that made sense at the time: I bought a lot of cardigans and started going to information sessions. In that long September of career fairs and networking nights, Capital One Corporate Strategy made me pause and perk up. They were the first company I saw to spend as much time talking about their mission as about the job. The problem, they explained, is deceptively simple. Money is digital. Logically, no one ever needs to walk into a branch – and who even wants to? I couldn't remember the last time I had been. And yet, when people go about choosing a bank, they think about which branch is closest to them, walk in, and set up an account. Digital products have a way of punishing companies that over-invest in the face-to-face (see Blockbuster, Barnes & Noble, sad old Best Buy). Customer behavior changes fast, and adapting when you see the shift is often already too late. Capital One was not planning to wait. It prefers to predict where the world is going and get there first. It wants not only to get ahead of the industry but also to help customers make the transition, building better and better experiences until branches as we know them become obsolete. The Strategy Group spends its time working on this question, and many others like it. It's a small group, about 40 people, and sits directly under the CEO, looking out over the vast machinery of a Fortune 500 company and picking out the most interesting and impactful projects it can find. Over the past several years, it has had its hand in some of Capital One's most transformative shifts. When I joined the following fall, my first project was for the Small Business Bank. The leadership was considering building a completely digital checking account for small business owners. No branch, no nothing. Would anyone want such a thing? It was on this project that I realized the difference between external consulting and internal strategy. We began with customer research and quickly discovered that the question we had been asked was much too small. Yes, people wanted such a thing, but also people were very unhappy with the way banking worked today. For a small business owner, piecing together a complete picture of their finances was often incredibly painful. The question wasn't "should we go national? "; it was "how can we rebuild this thing from the ground up?" Within weeks, we were making trips to San Francisco to meet with start-ups, interview customers, and design our product. By the time we finished, the client team had put together a development timeline and was talking about release dates. It was a success – not because we had delivered dozens of slides (though we did), but because we had made a difference. Initially, I had been wary of taking a job in financial services. I didn't know anything about credit cards, didn’t have a passion for checking accounts. But a first job isn't about picking an industry. It's about finding a place where you can try a lot of things, be supported, and grow fast. In Capital One Corporate Strategy, associates rotate projects every few months, and I was able to experience half a dozen types of work and management styles. Within the small and close-knit group, I found coaches, mentors, and amazing friends. There is no shortage of things to do, and at every turn, I found opportunities to take on more responsibility, develop new skills, and make things a little better than I found them. After nearly three years at Capital One, I had to face my hardest challenge: saying goodbye as I left to pursue my MBA at Harvard Business School.